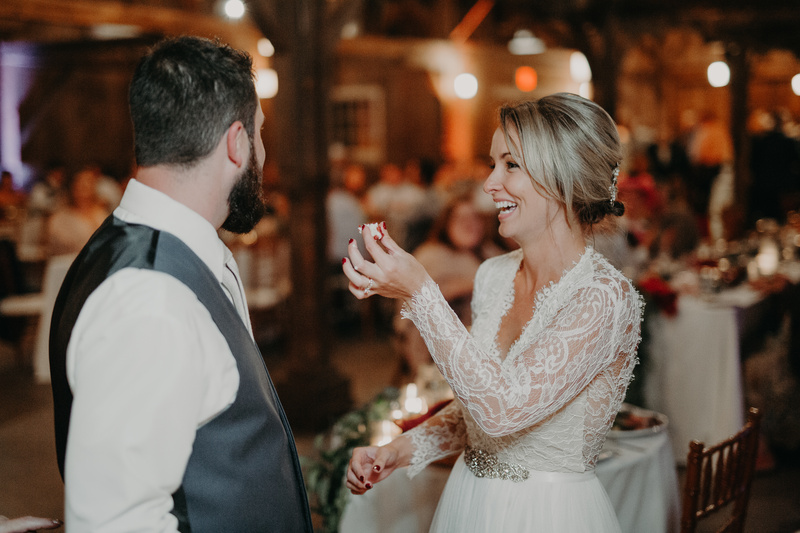 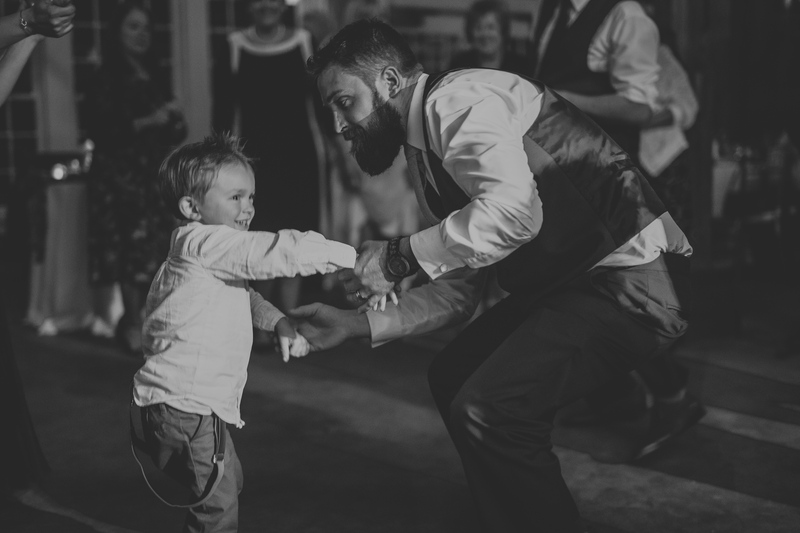 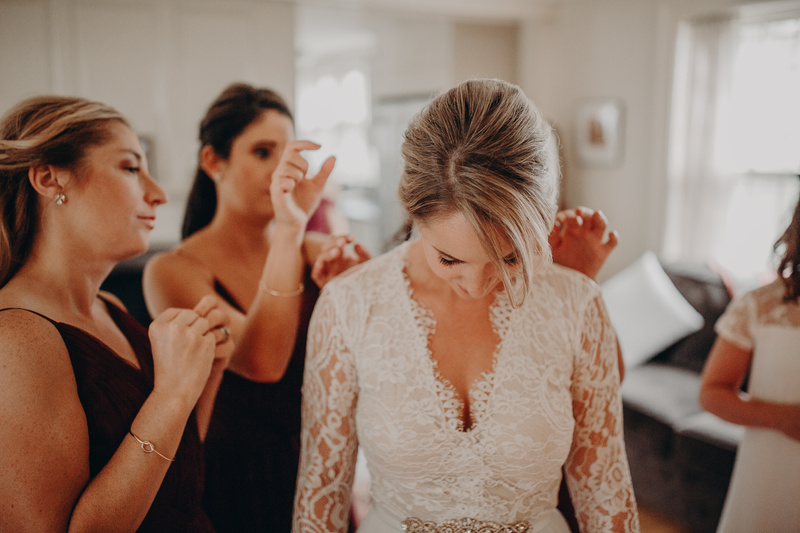 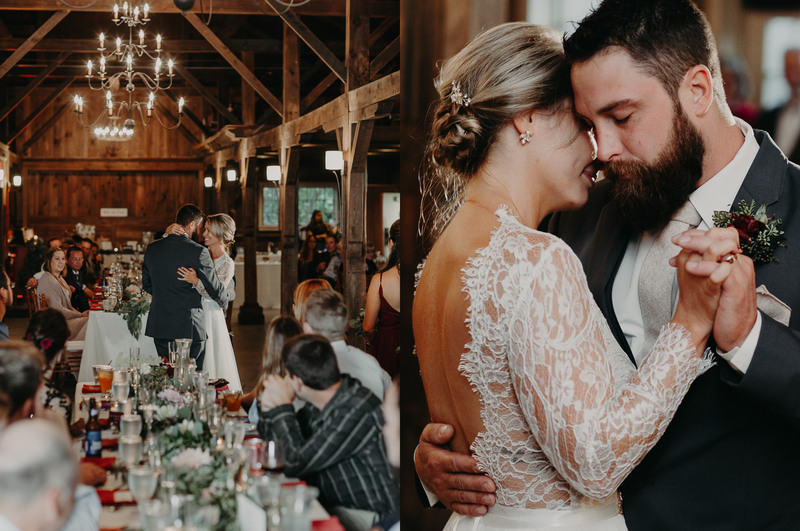 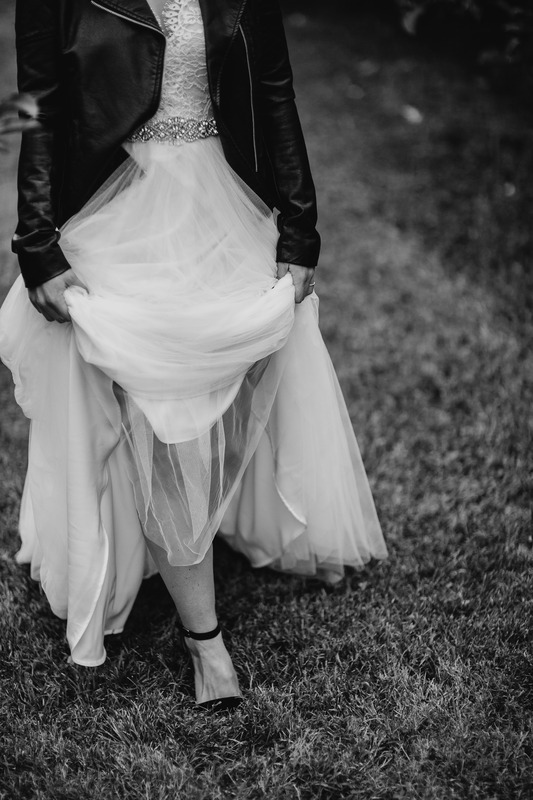 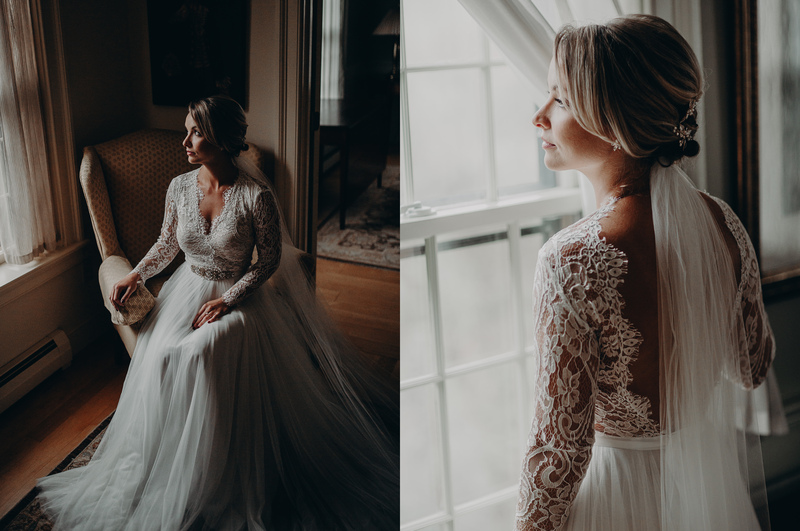 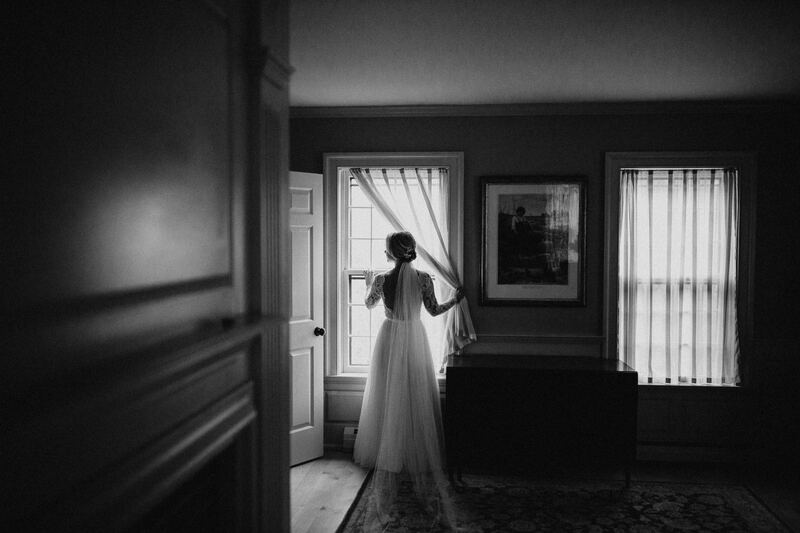 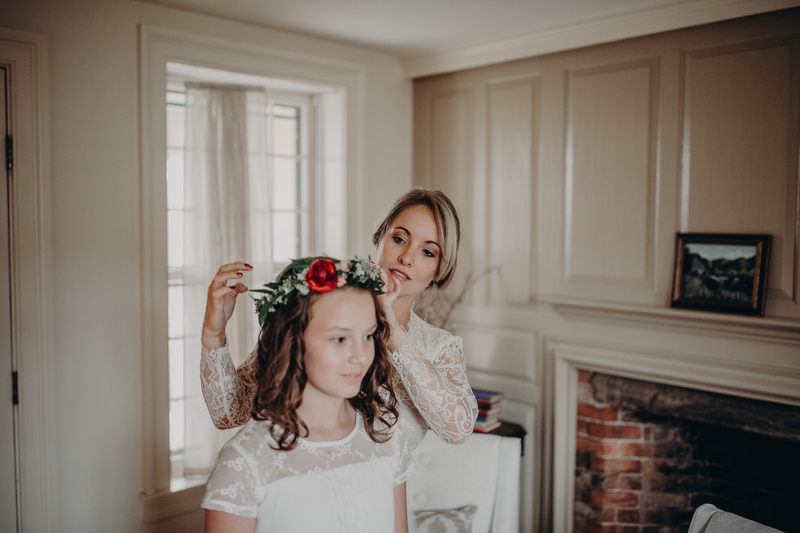 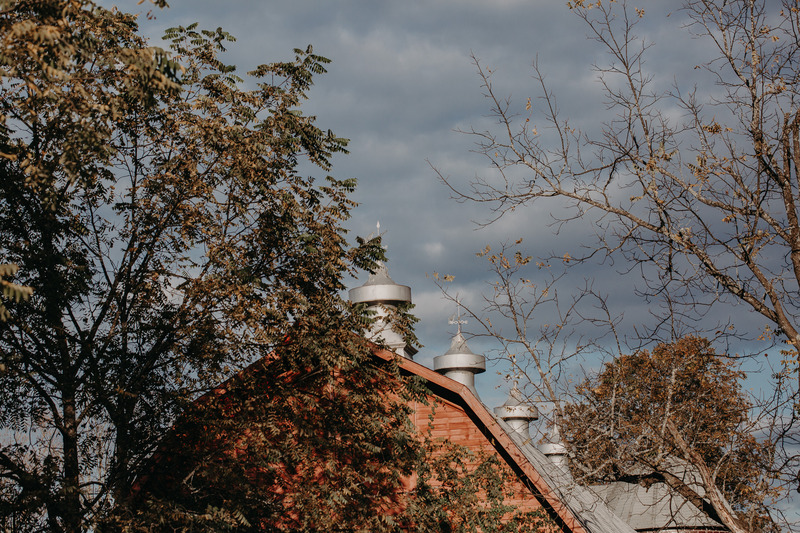 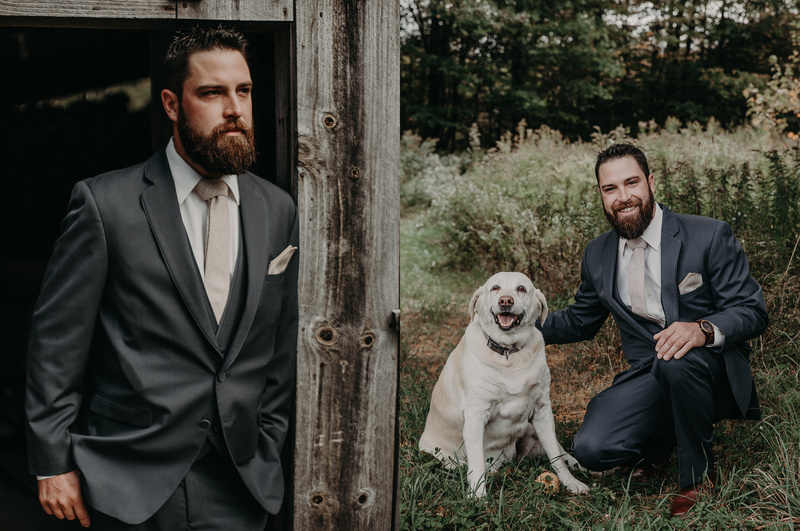 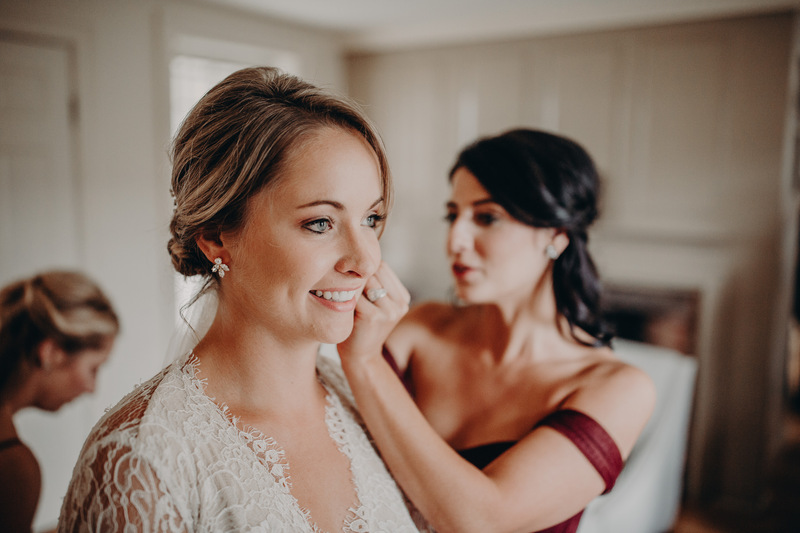 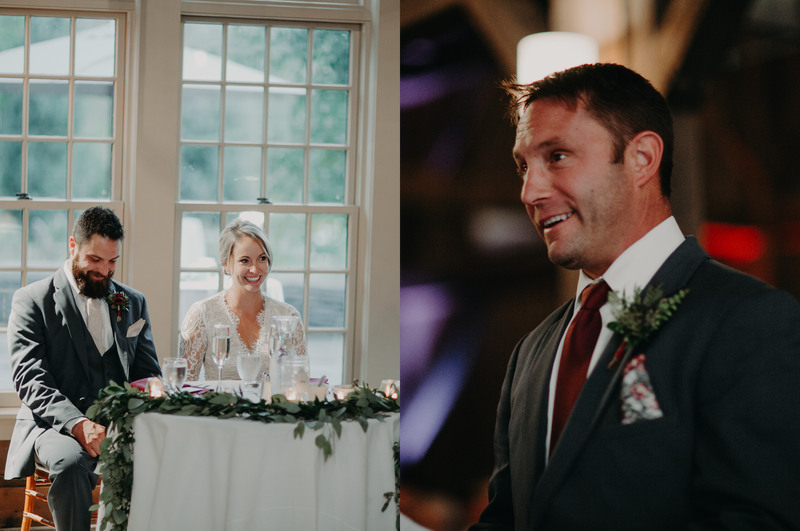 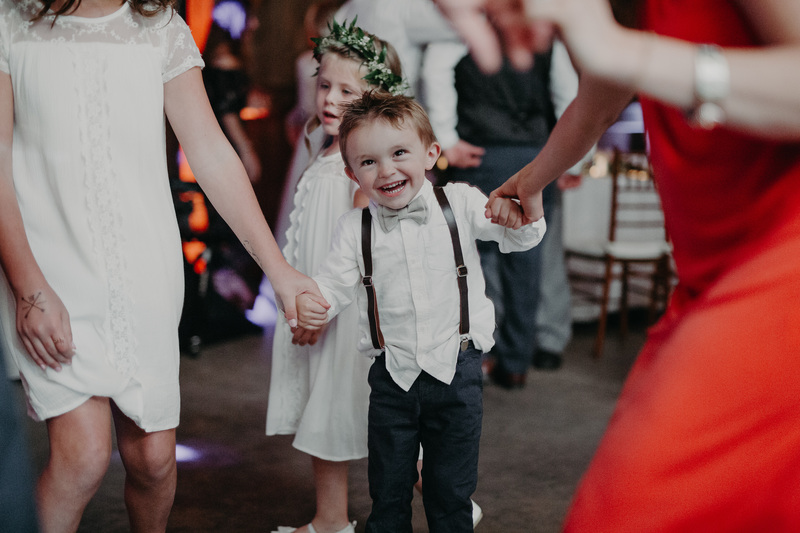 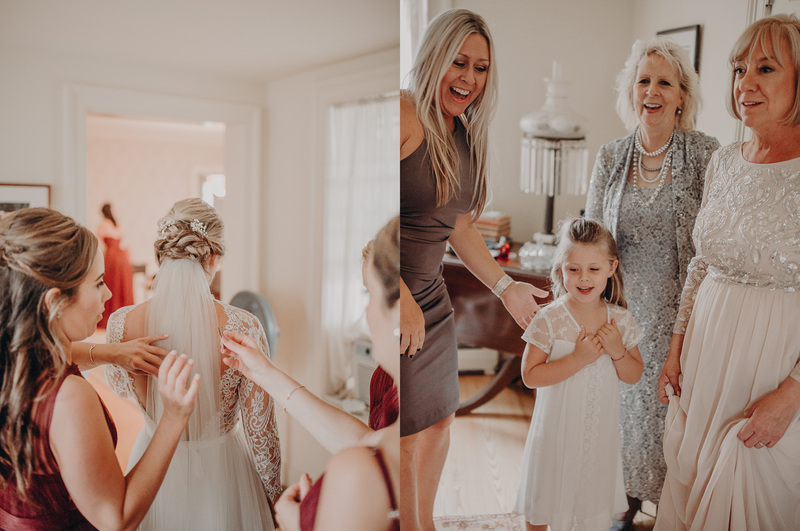 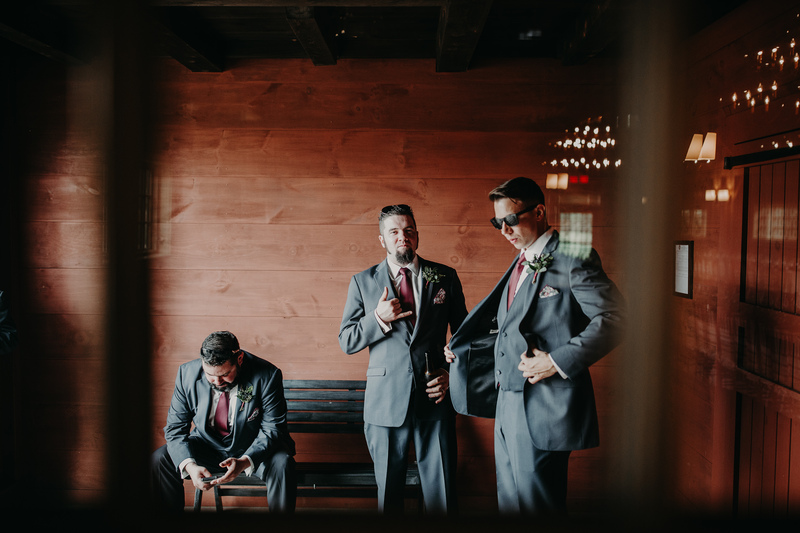 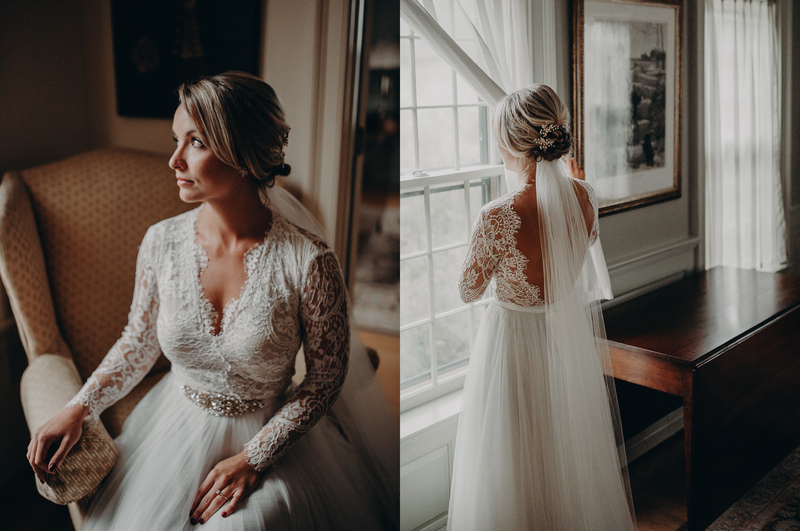 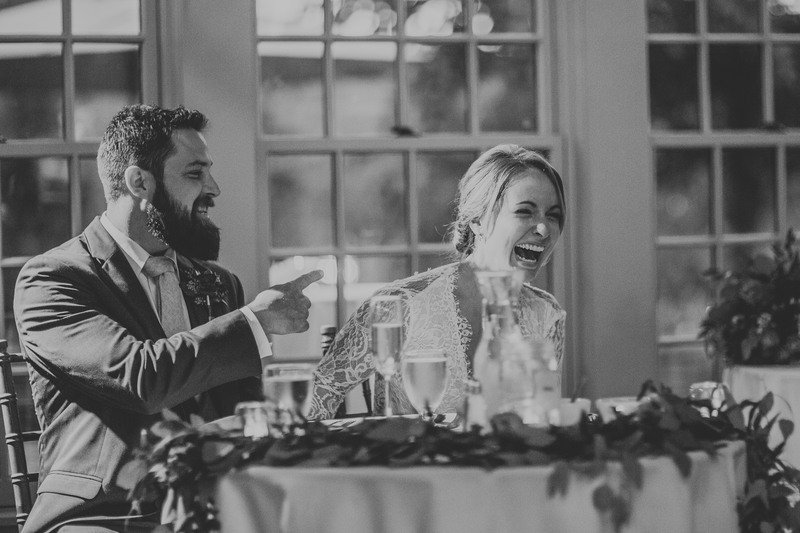 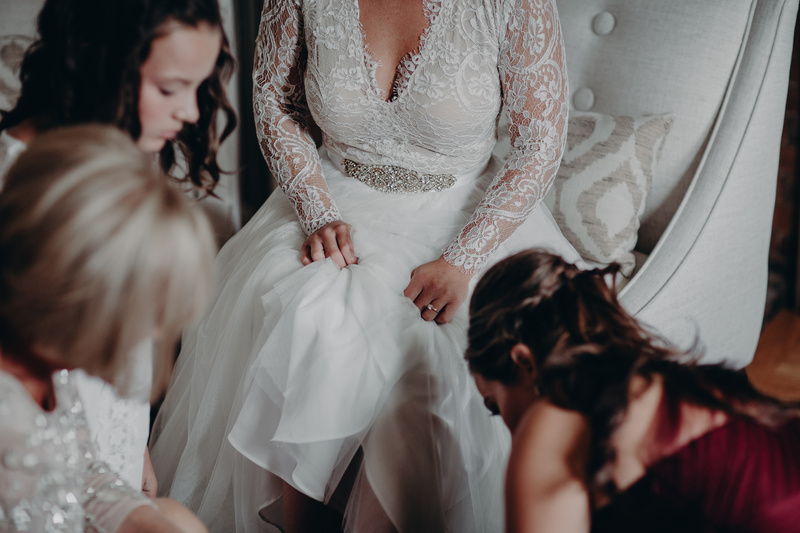 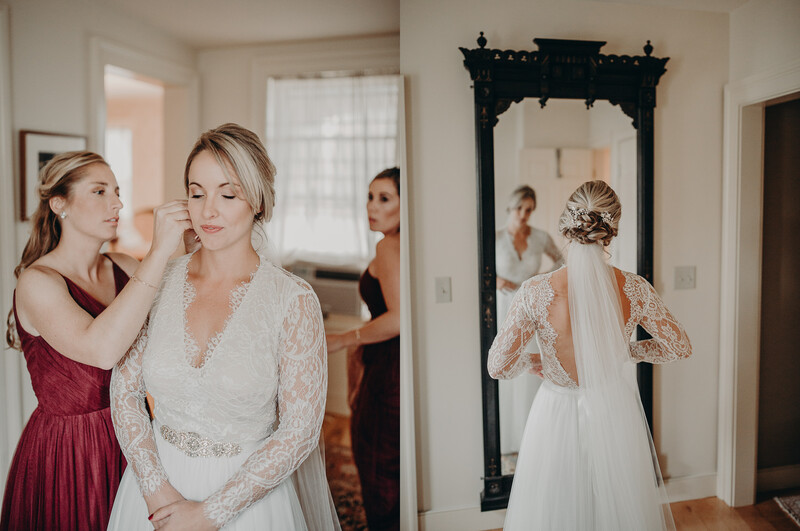 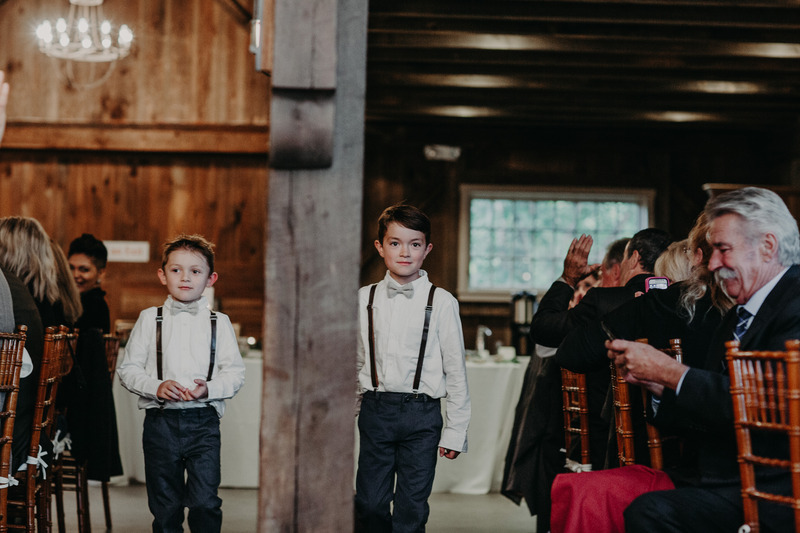 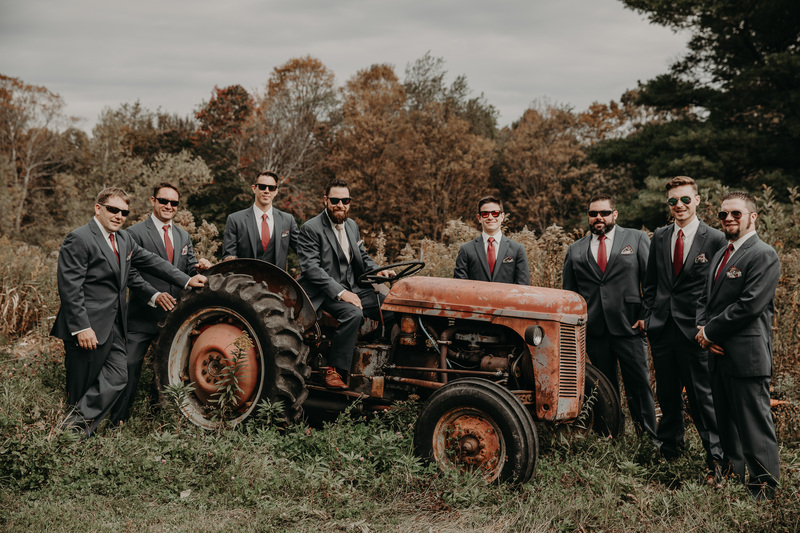 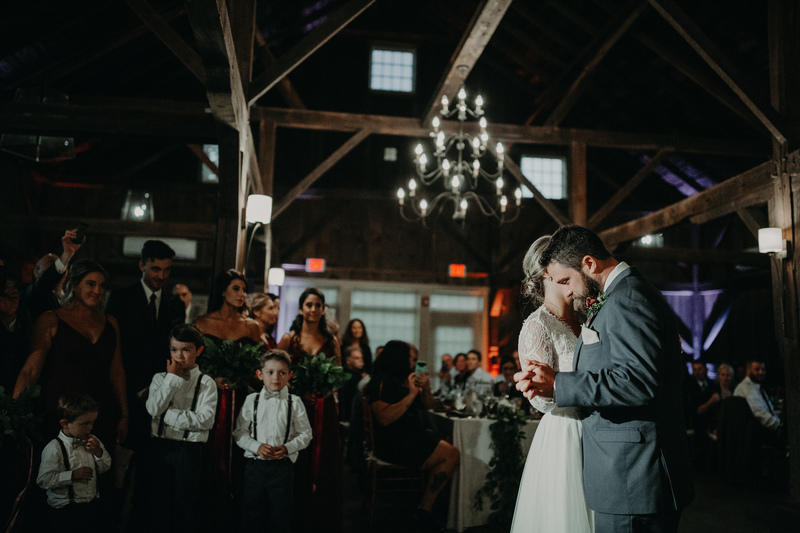 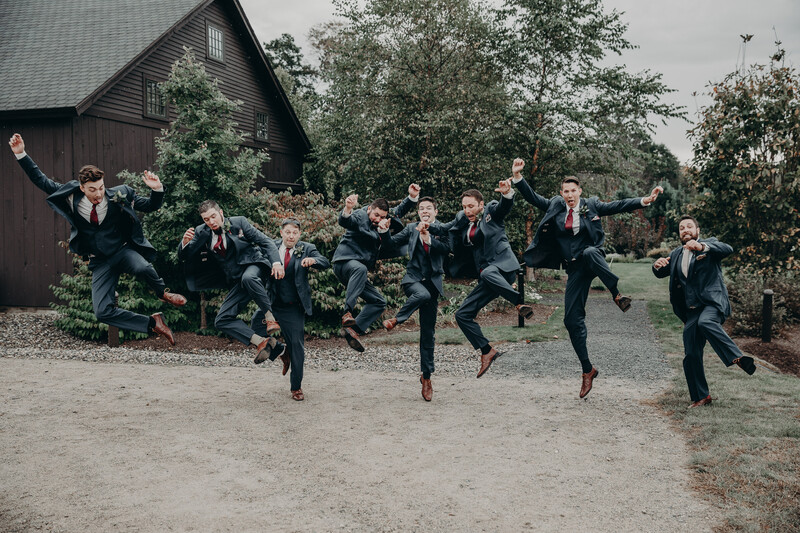 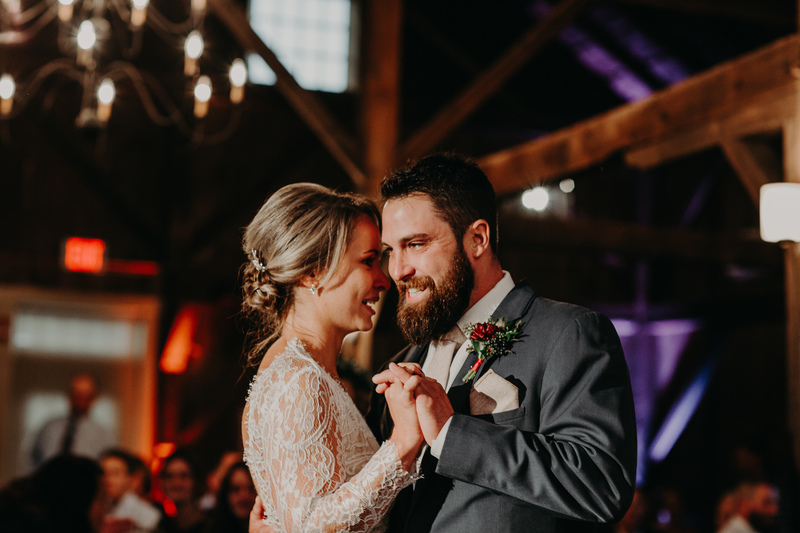 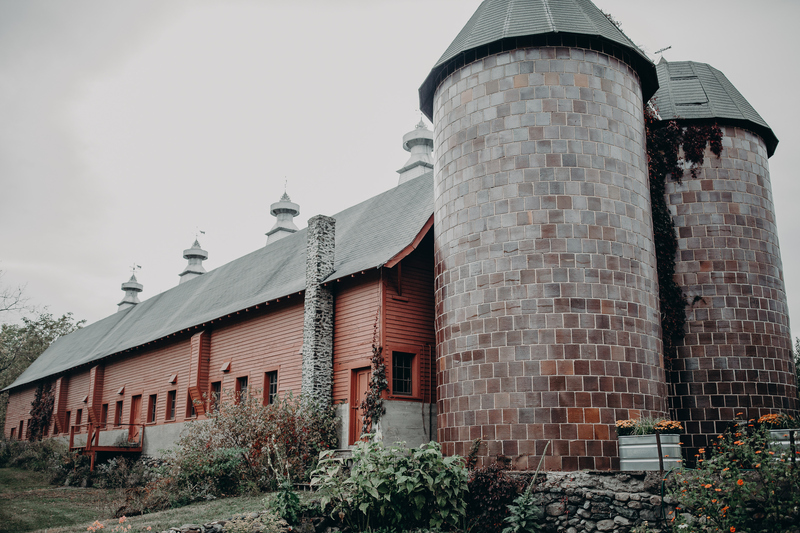 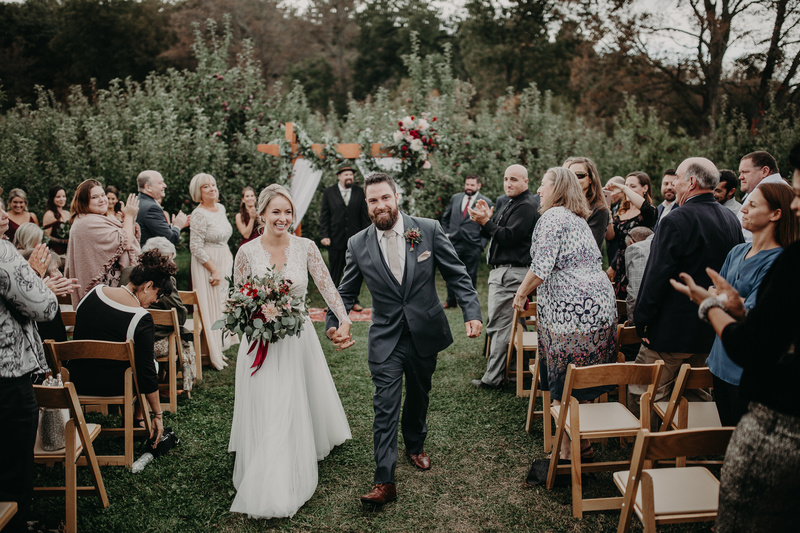 What isn’t to say about Brooke and Mason’s picture perfect wedding at Quonquont Farm? 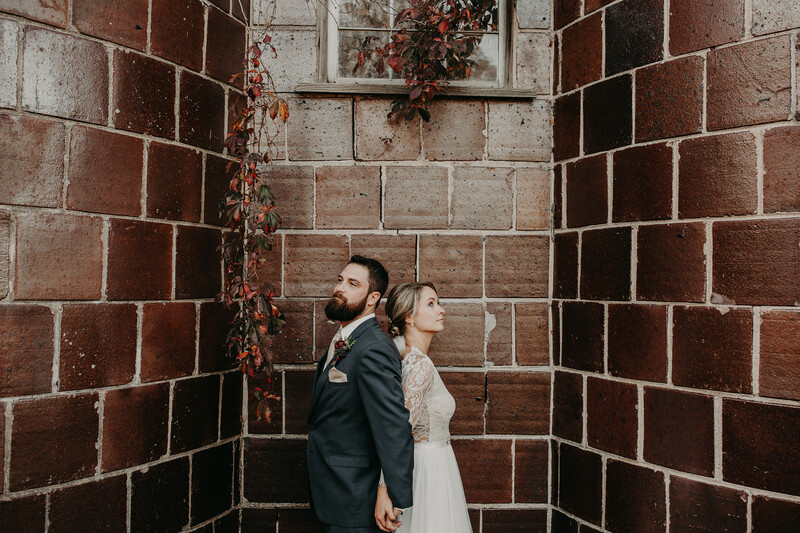 It was everything they dreamed about and more. 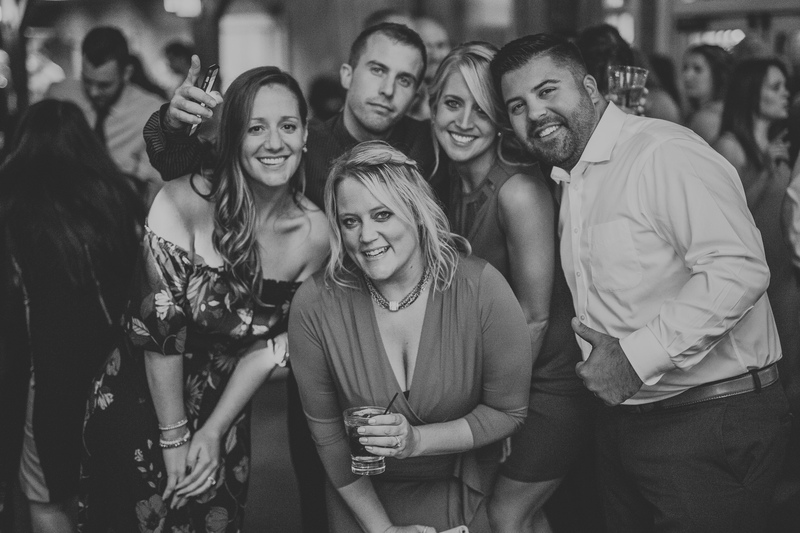 They will always hold a spot in my heart and their crew of friends is truly special to me. 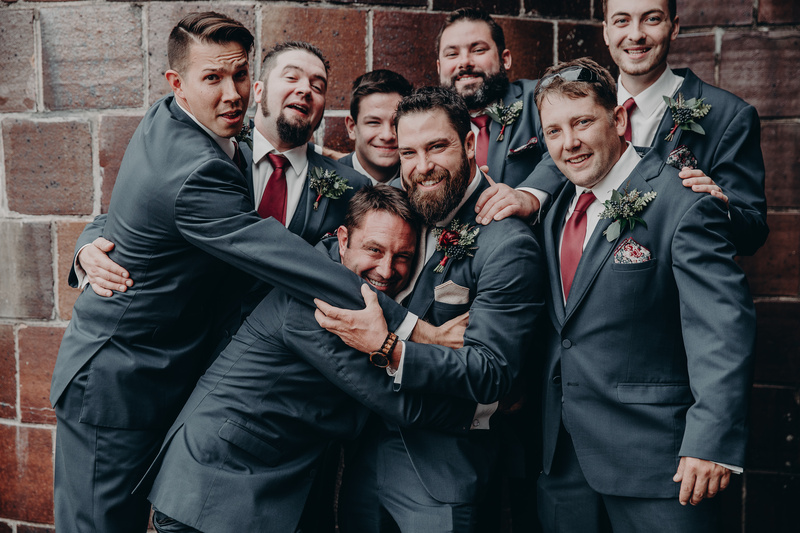 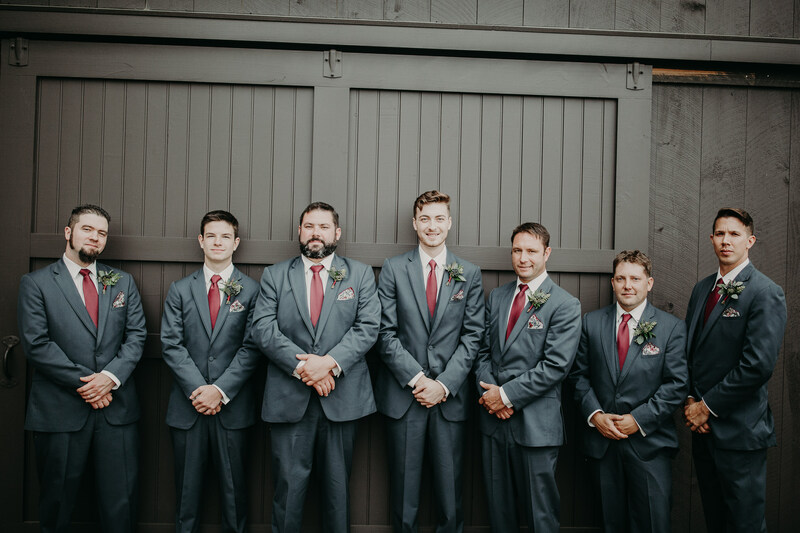 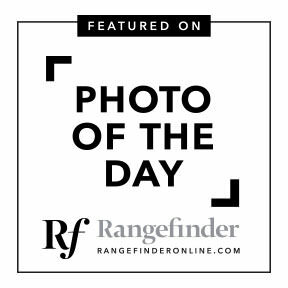 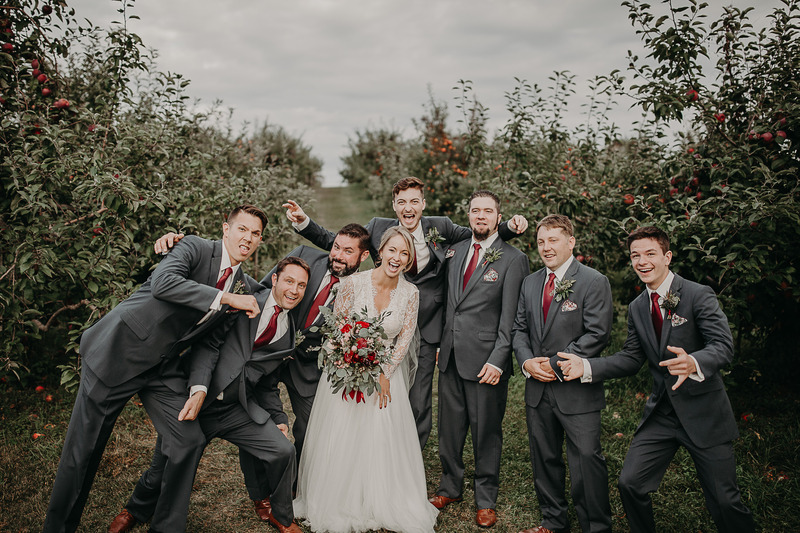 Not only because I have photographed all their weddings, but because they are such a tight knit, supportive group of fun friends. 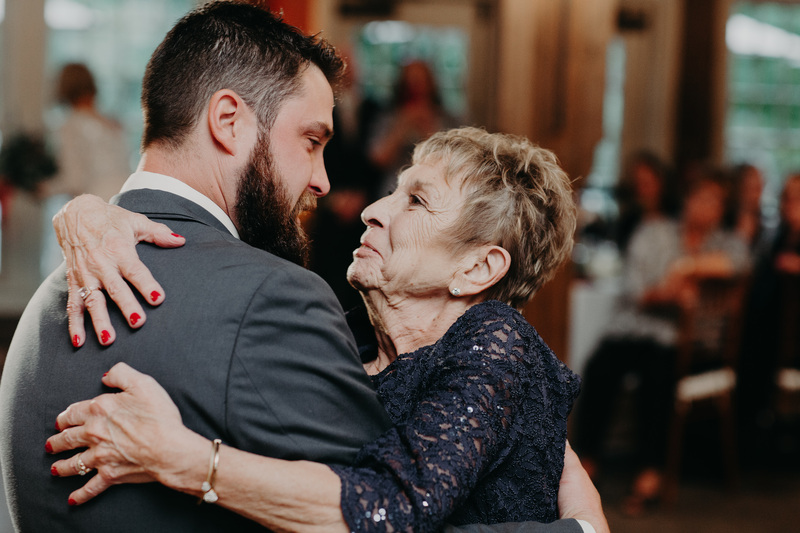 I have had the pleasure of seeing happy faces and hugs as we reunite at all these joyous occasions. 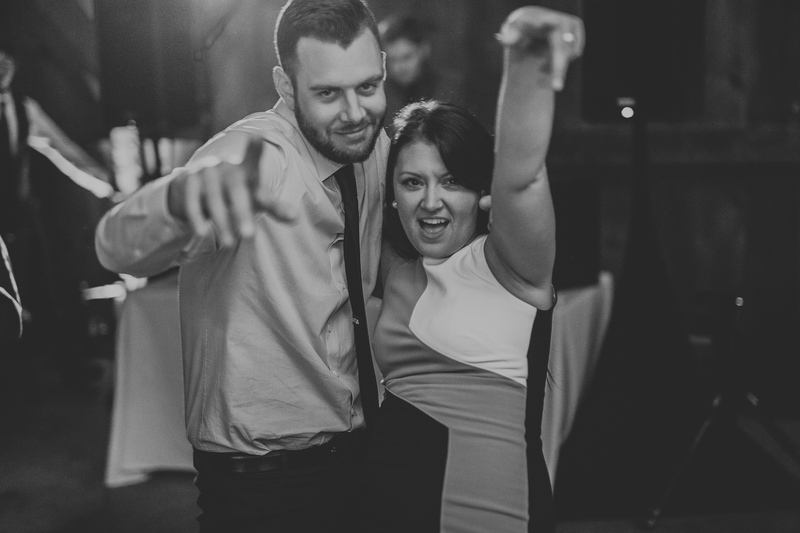 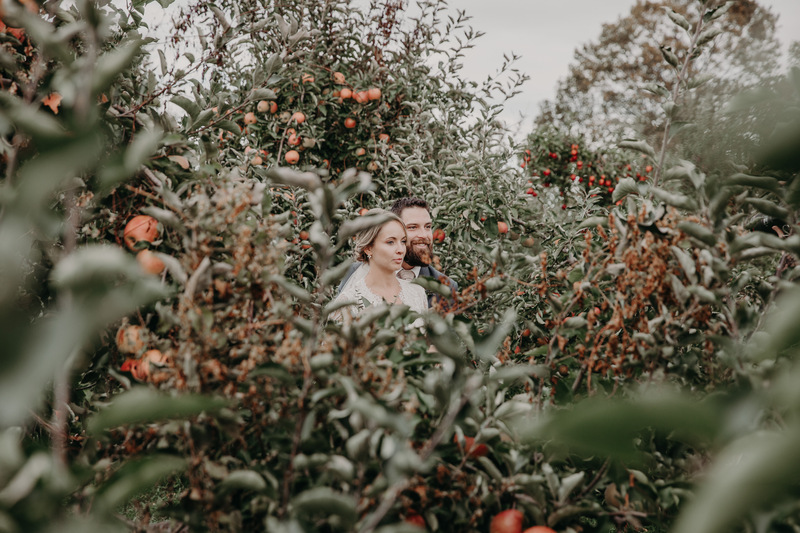 It started with Chrissy and Ian almost two years ago and from there, word of mouth and personal experience spread like wildfire. 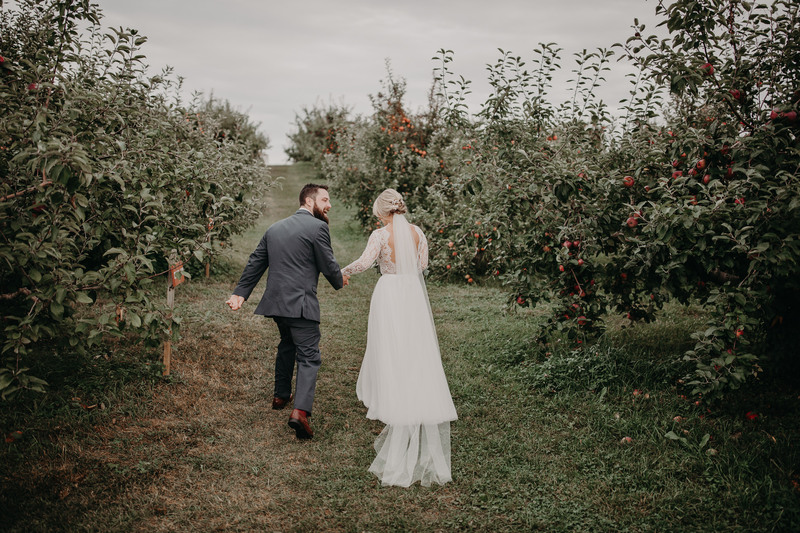 It’s such a joy for me to have made these connections and stay in touch with my couples. 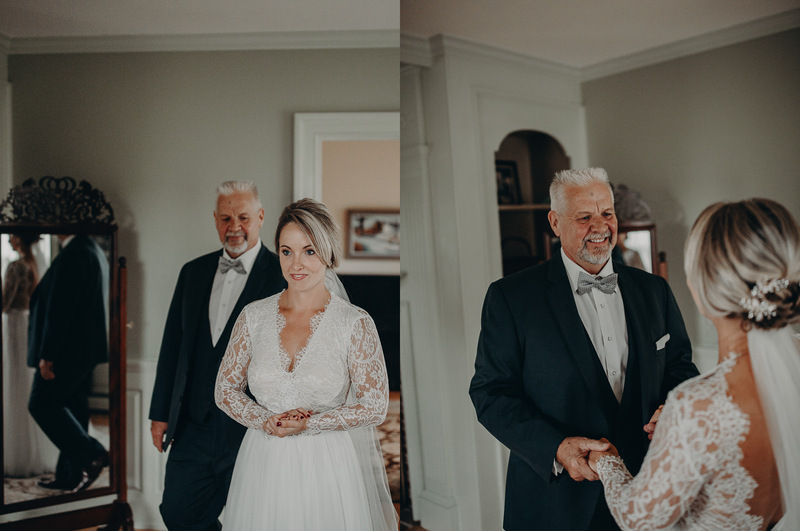 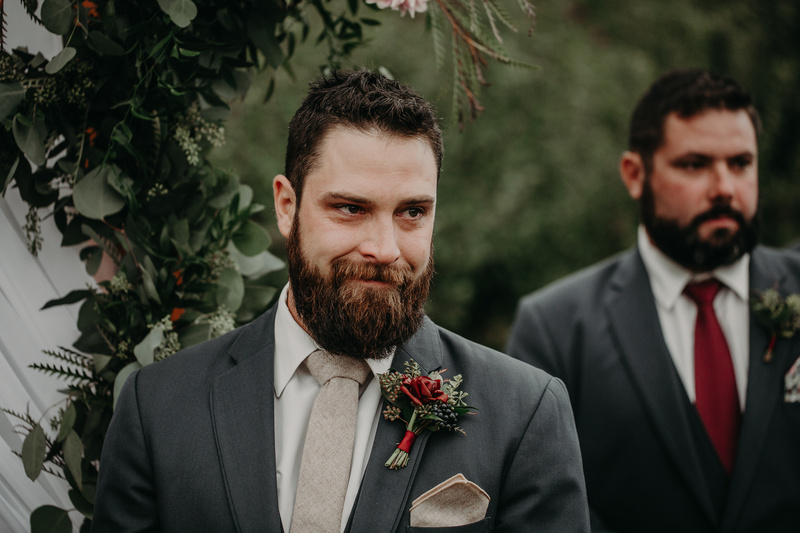 Watching their love progress from their own wedding is a treat. 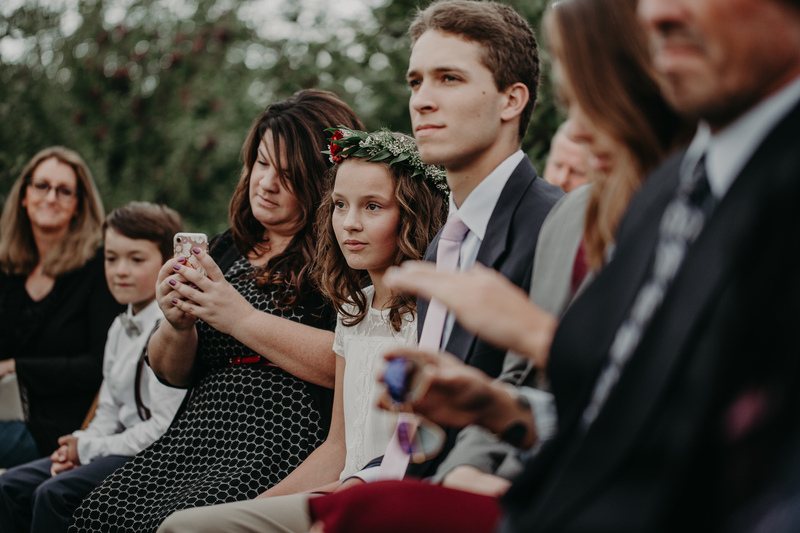 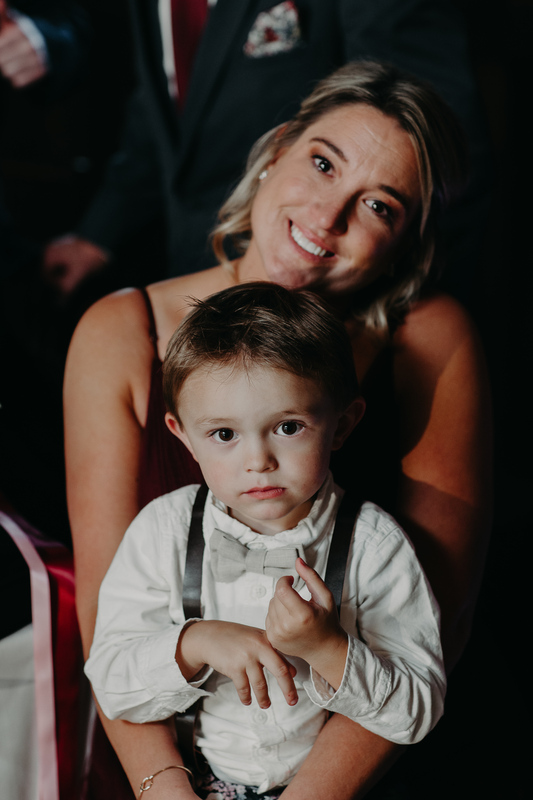 I remember seeing Brooke and Mason at three weddings, either as a bridesmaid or guest with much anticipation for their own wedding. 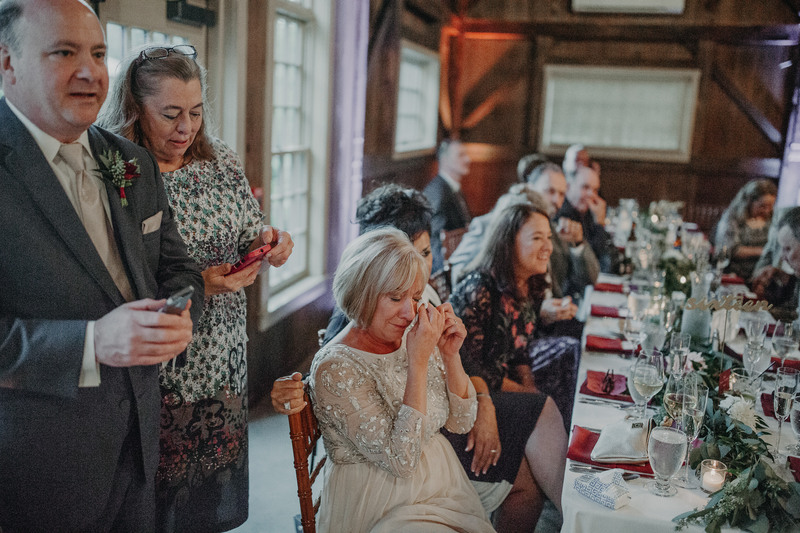 The excitement and momentum was palpable. 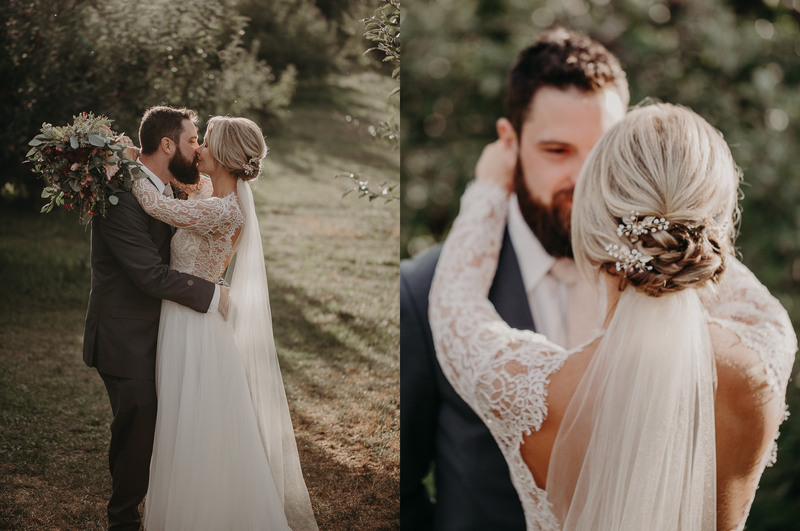 Brooke and Mason’s vision for their wedding day was unbelievable. 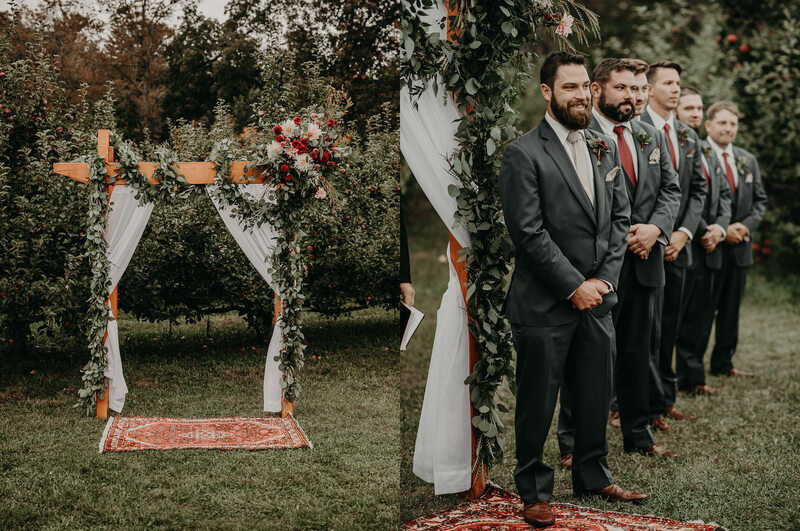 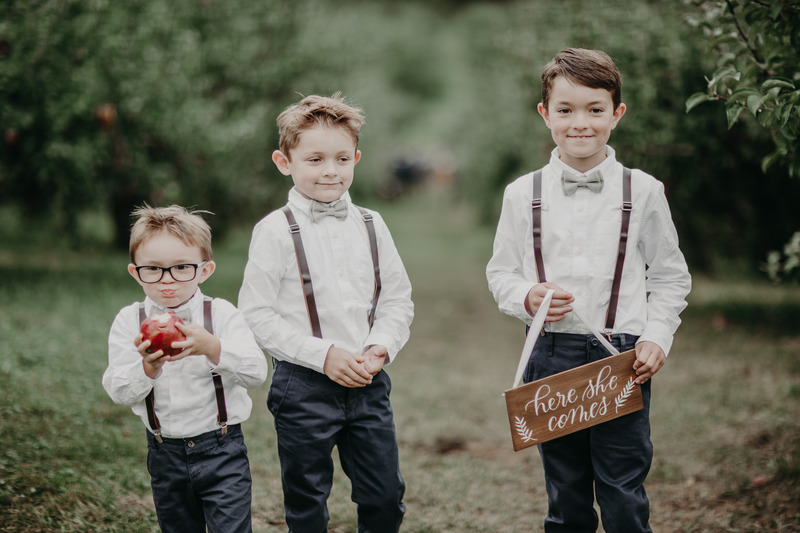 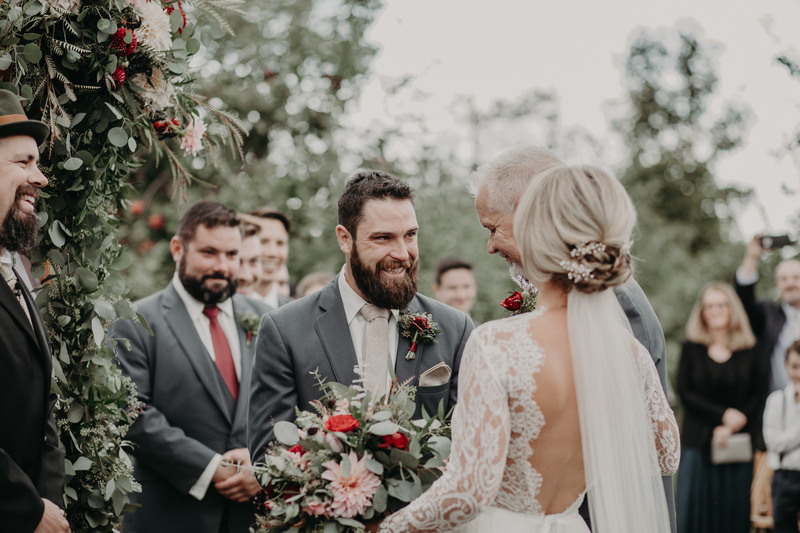 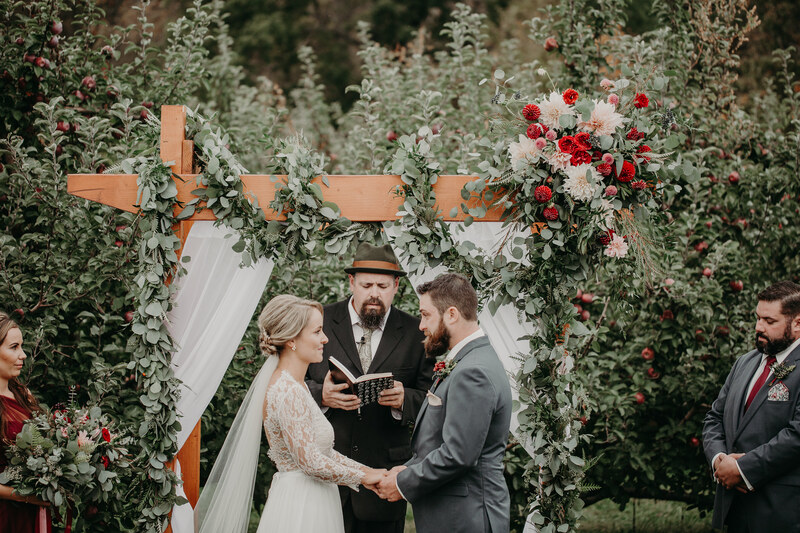 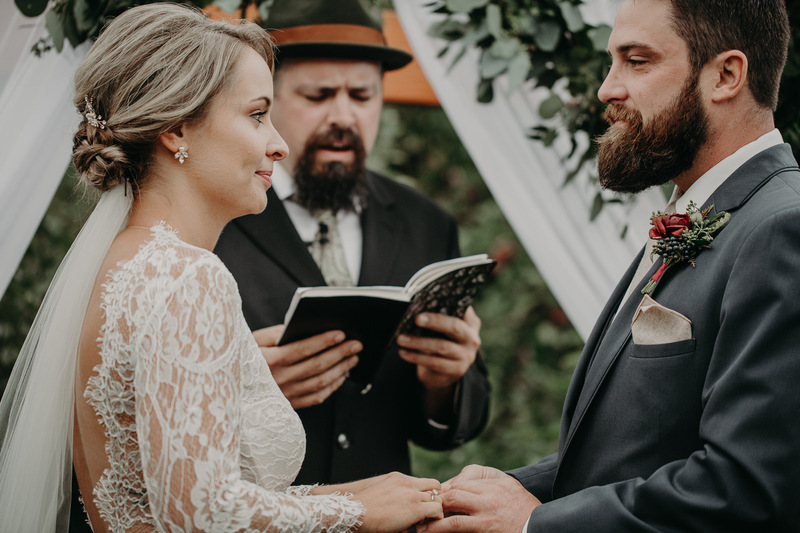 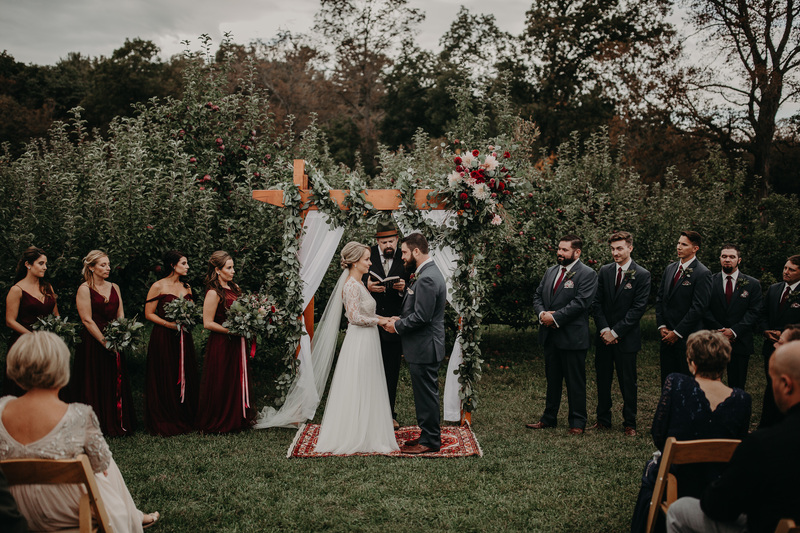 Mason built a gorgeous arbor, adorned with breathtaking garland where they held their outdoor unplugged ceremony in the middle of the orchard. 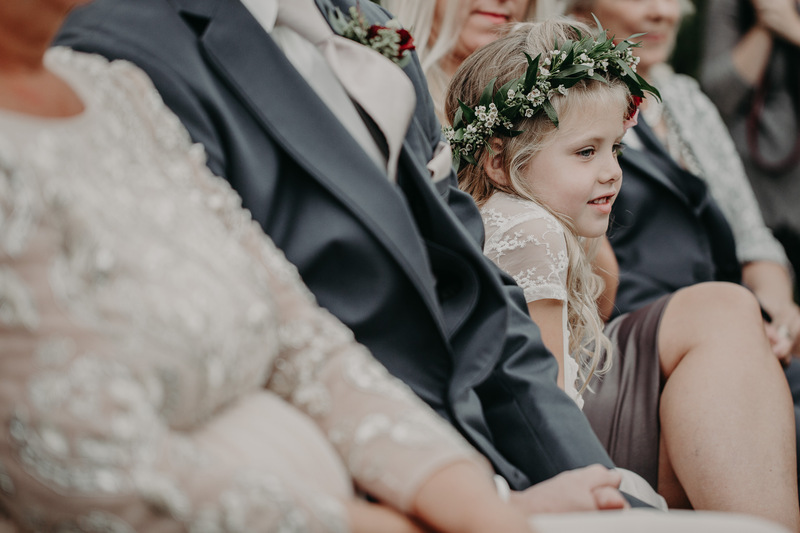 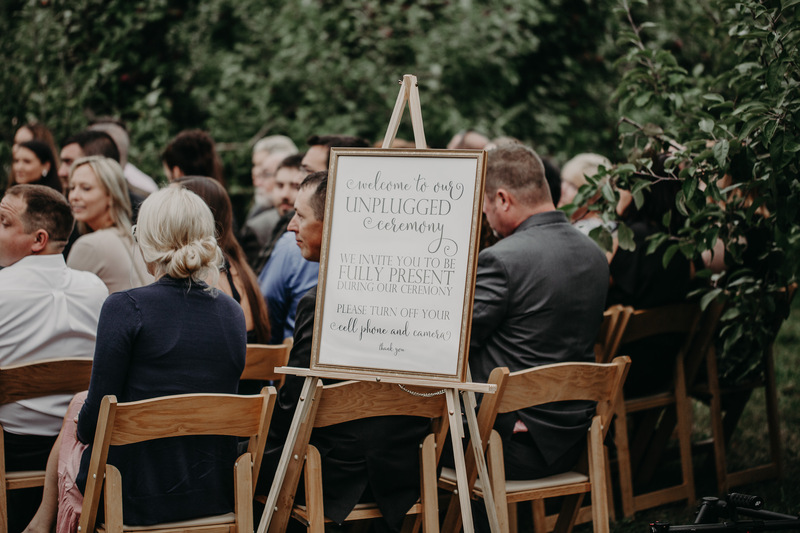 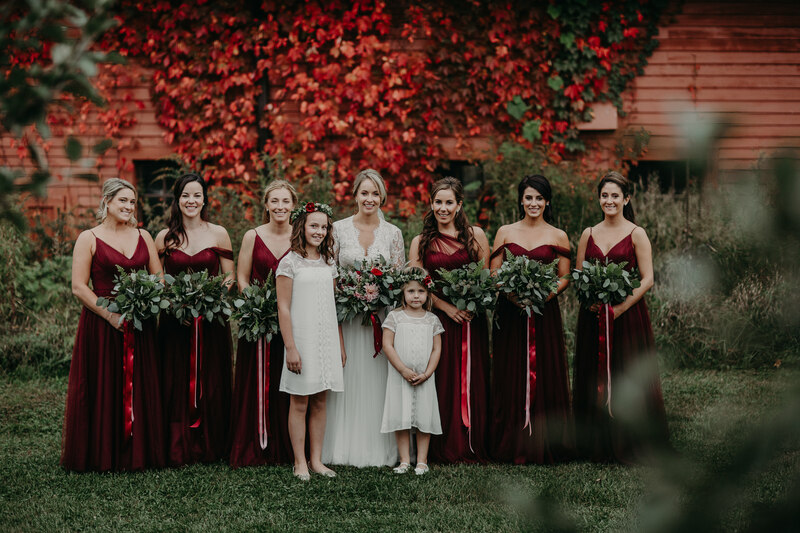 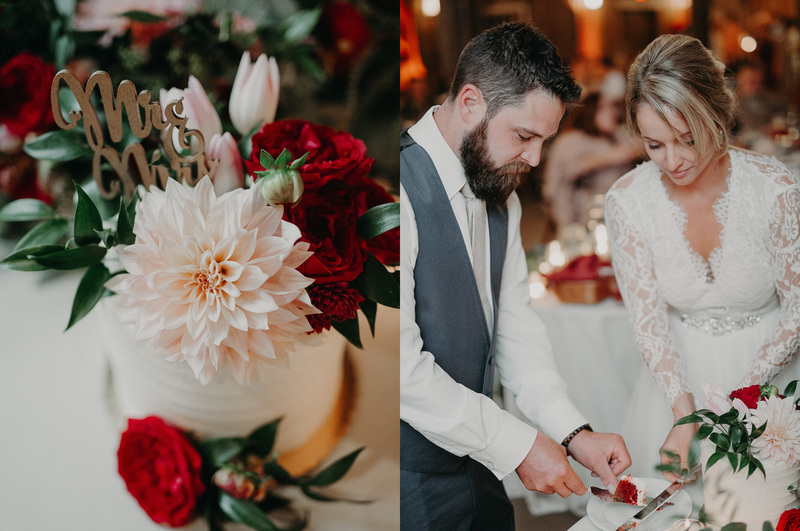 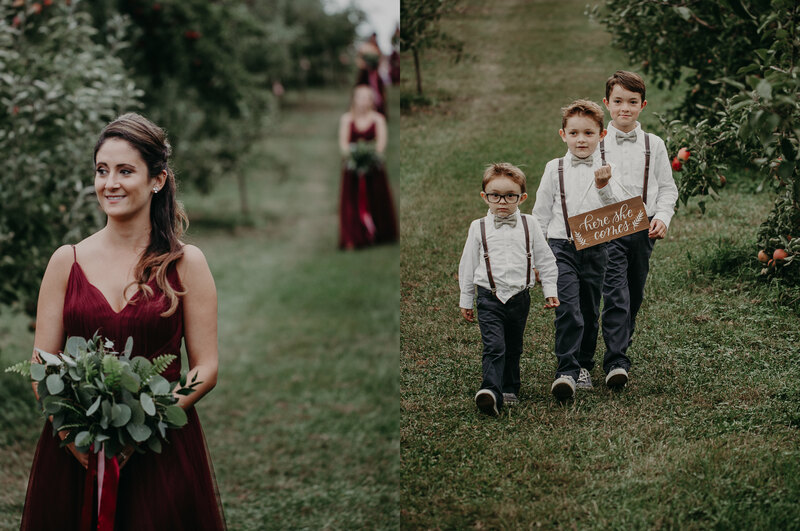 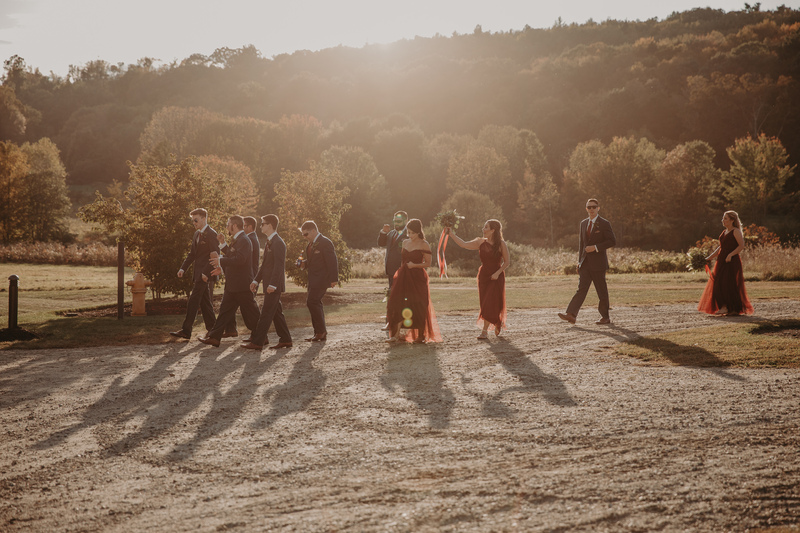 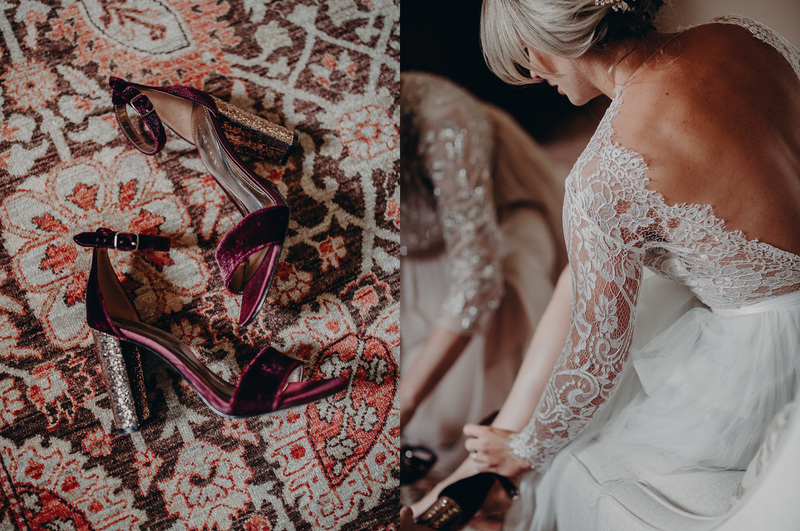 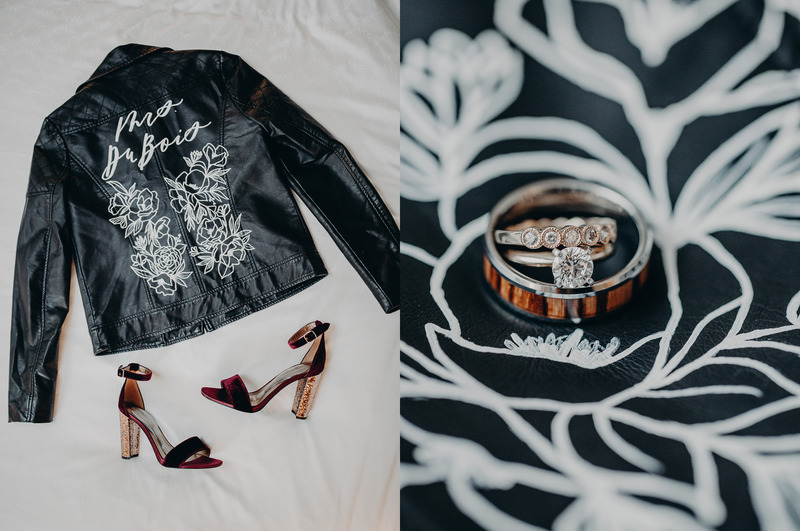 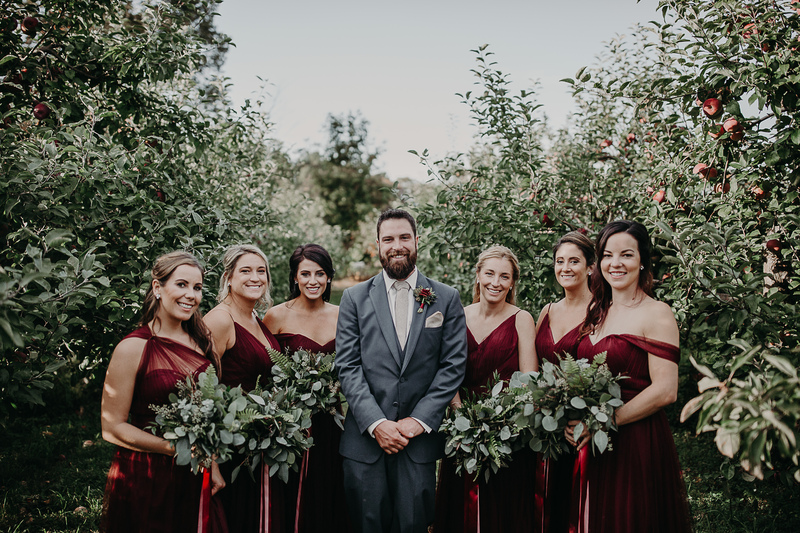 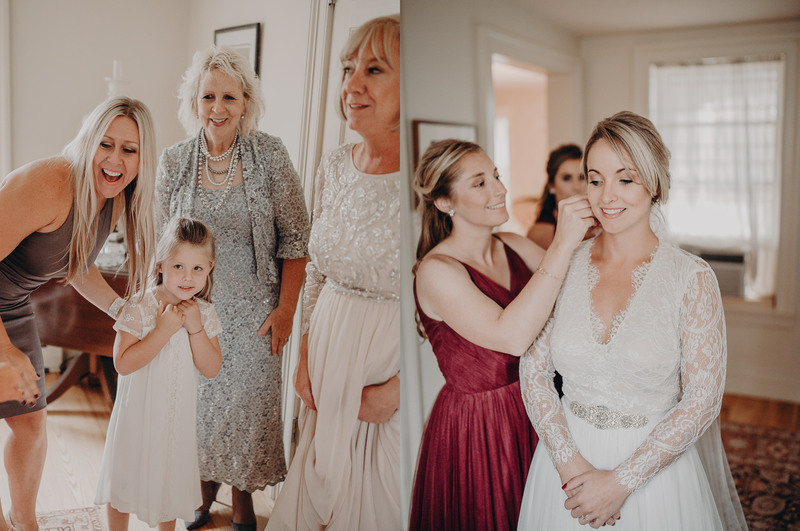 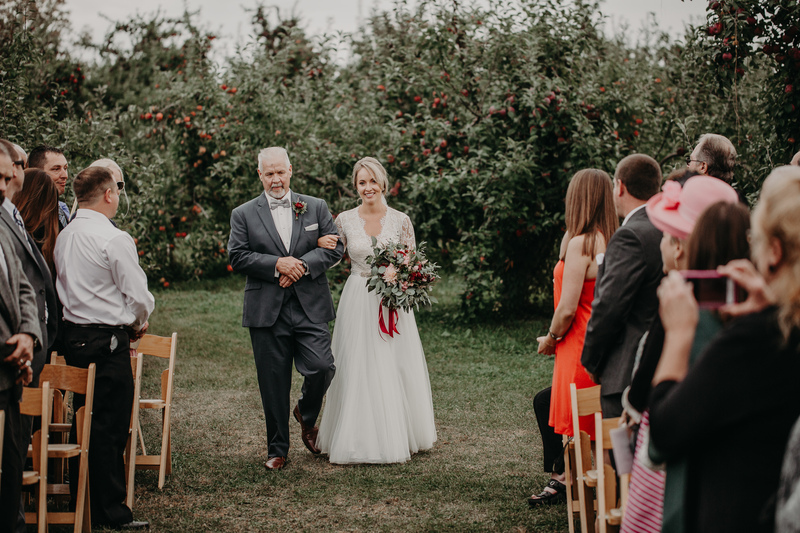 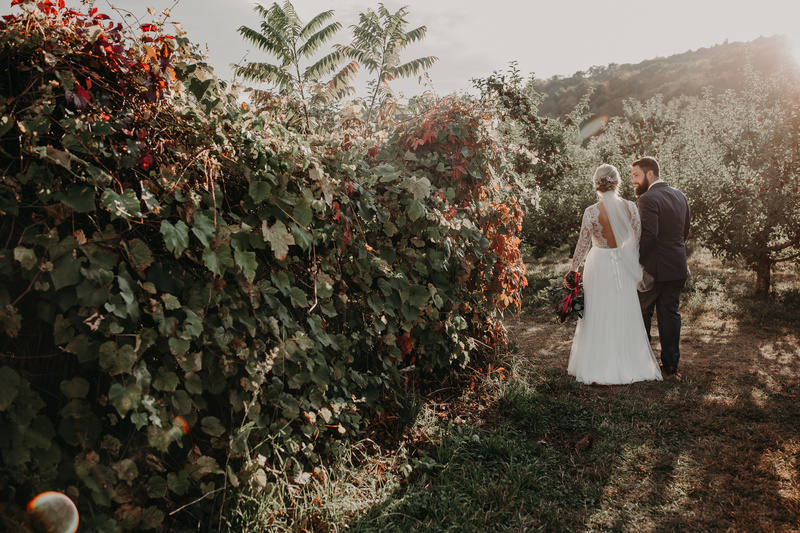 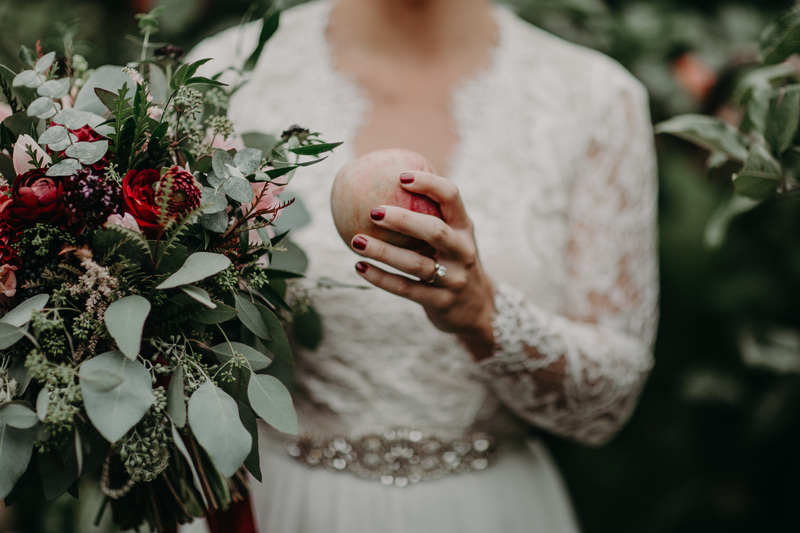 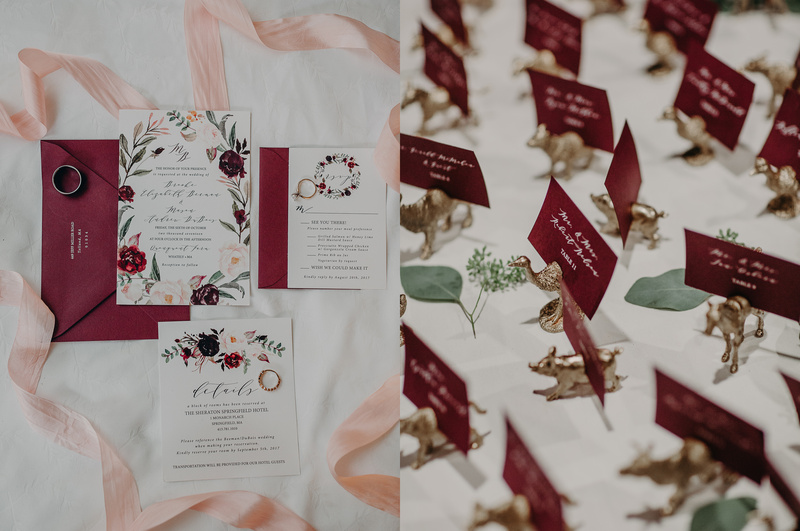 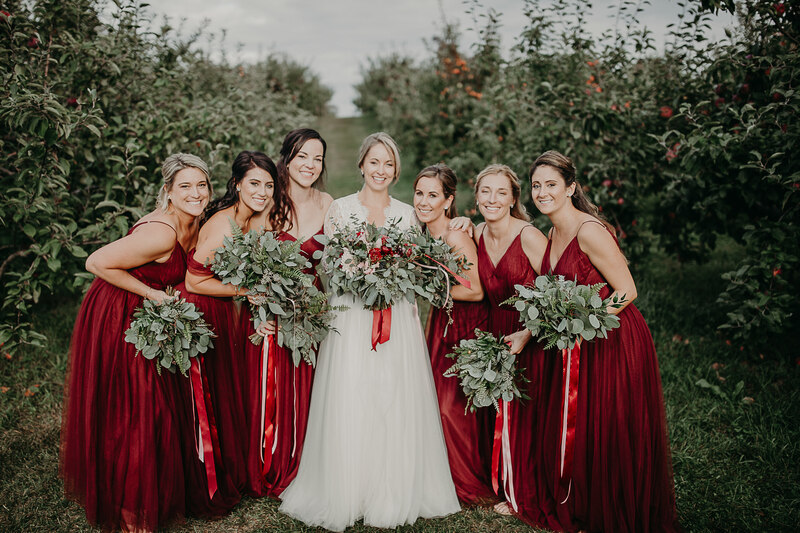 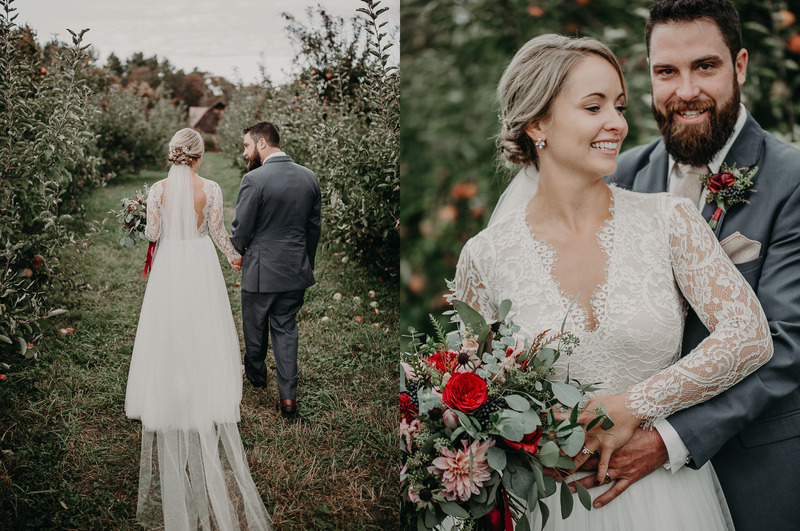 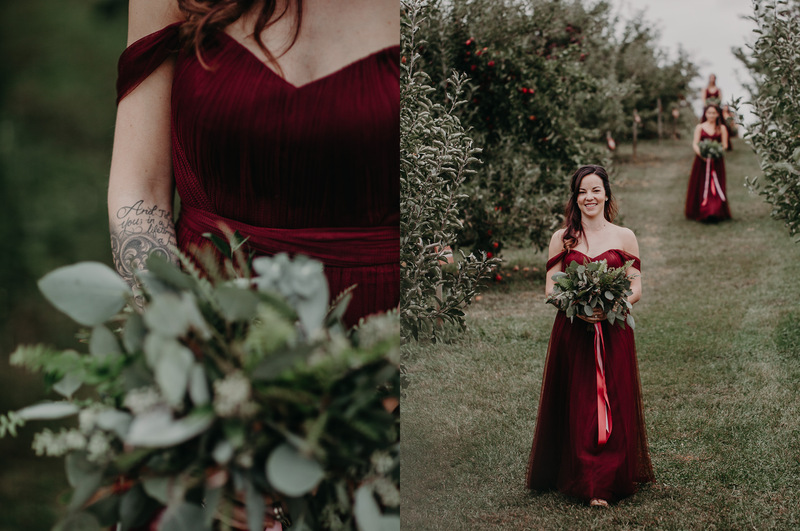 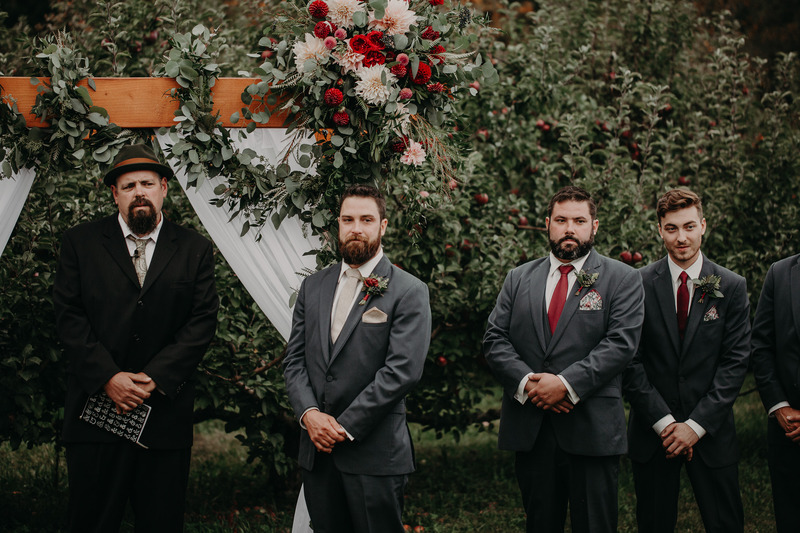 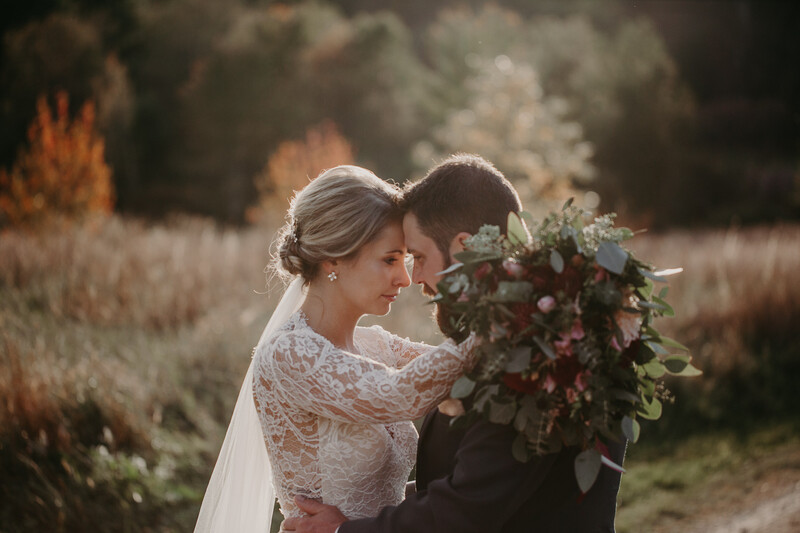 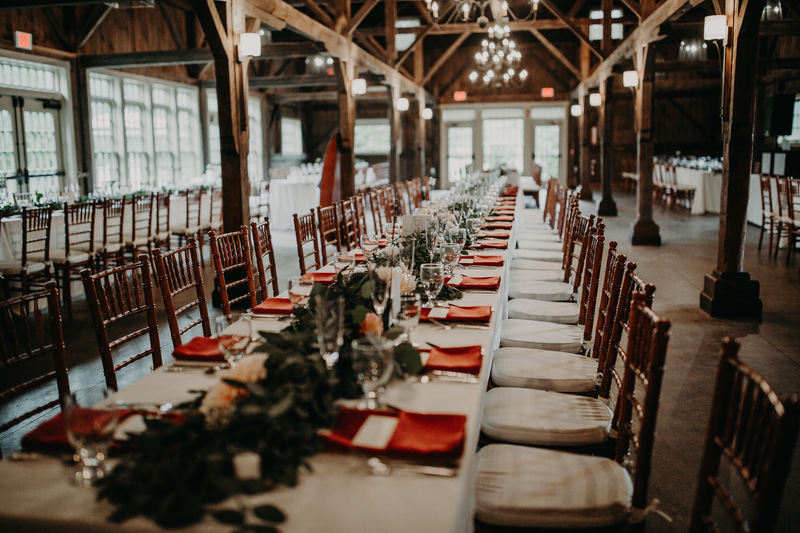 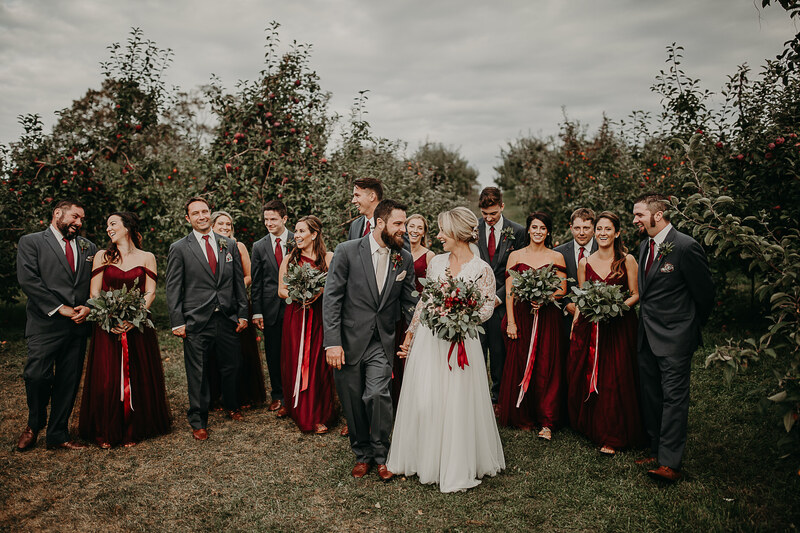 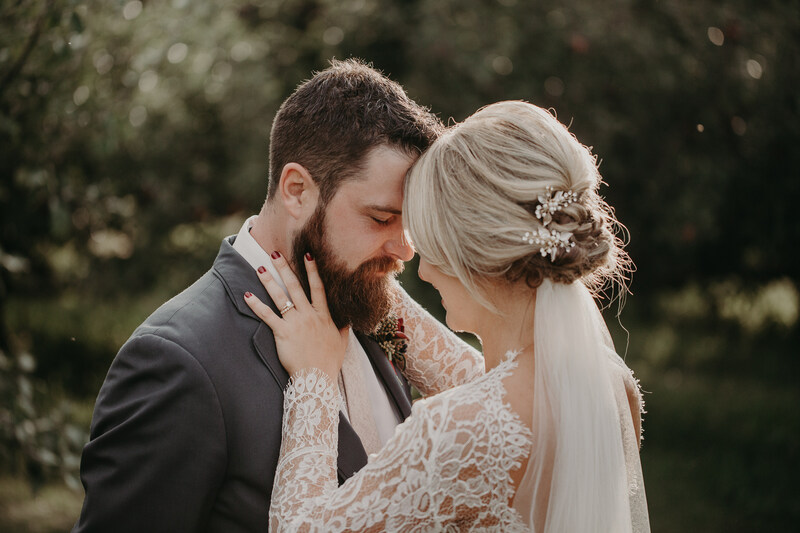 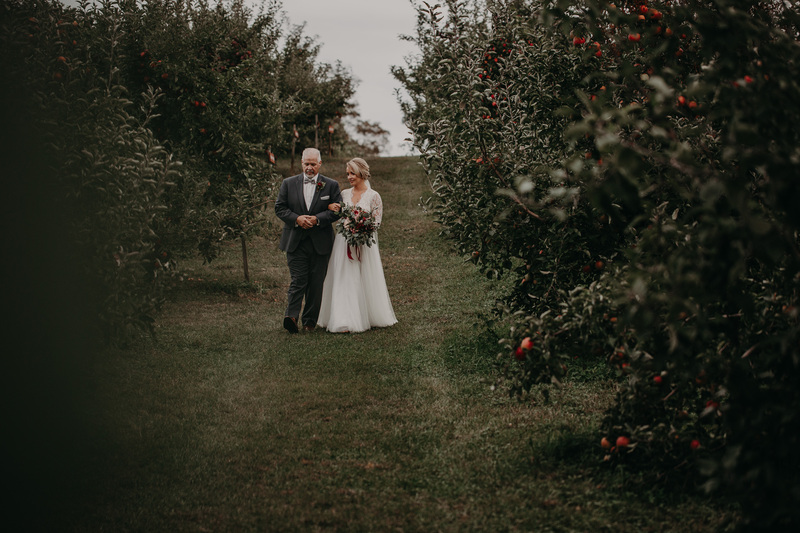 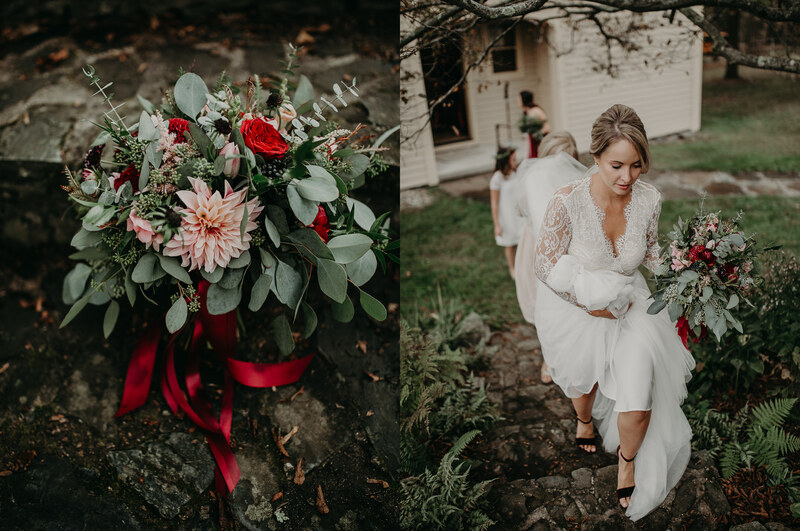 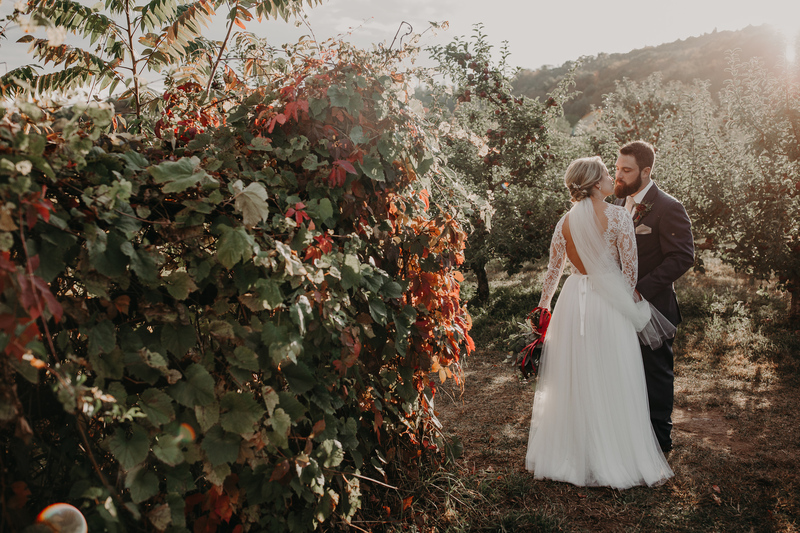 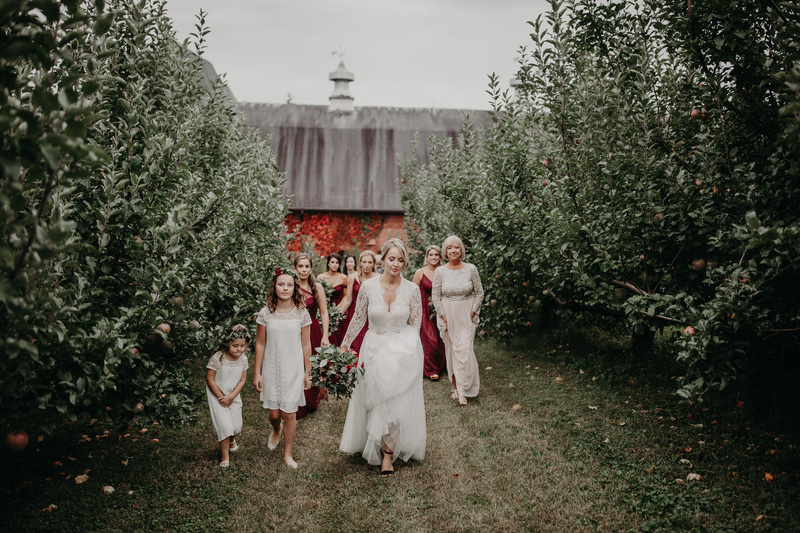 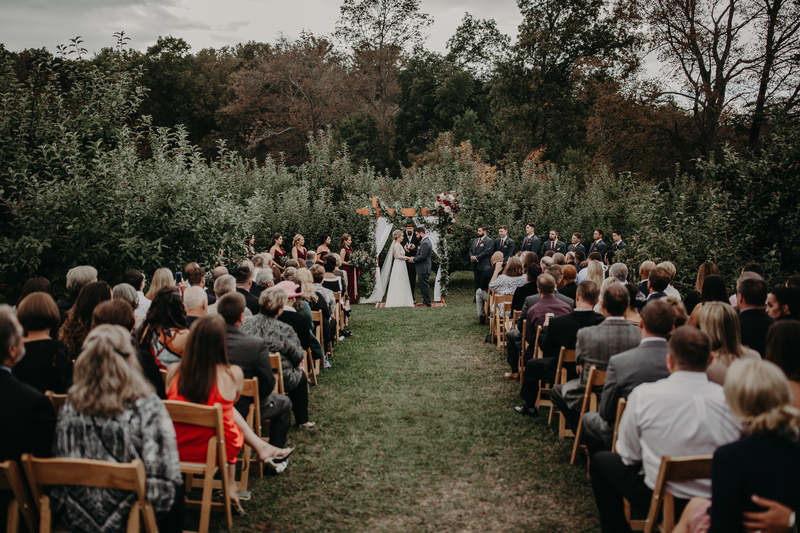 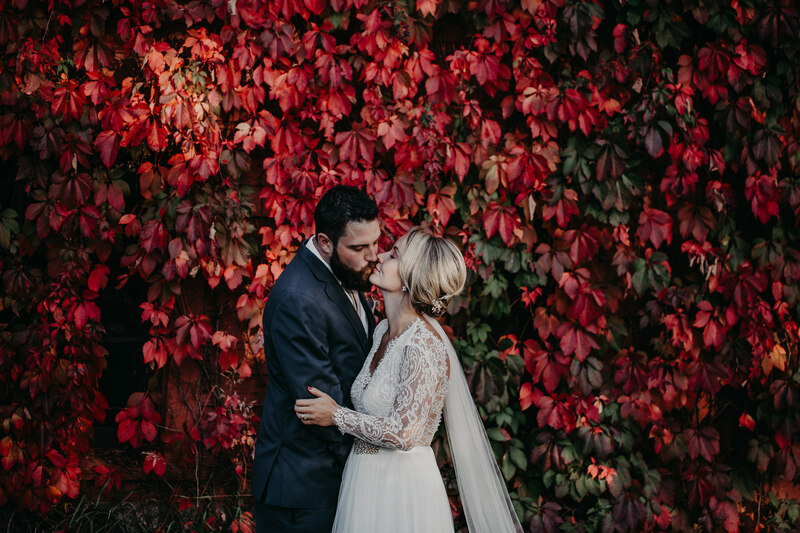 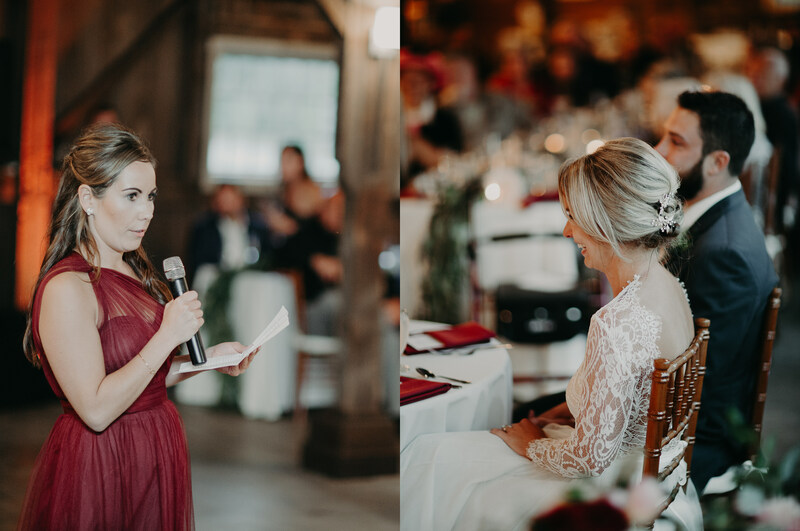 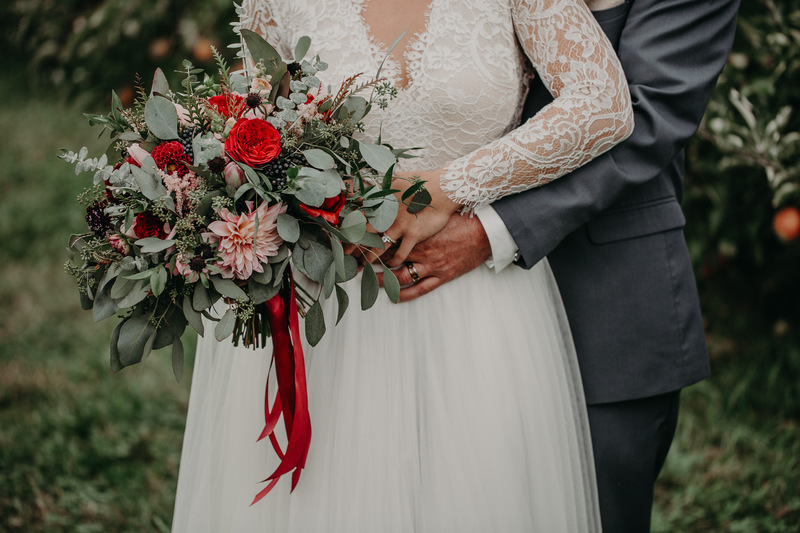 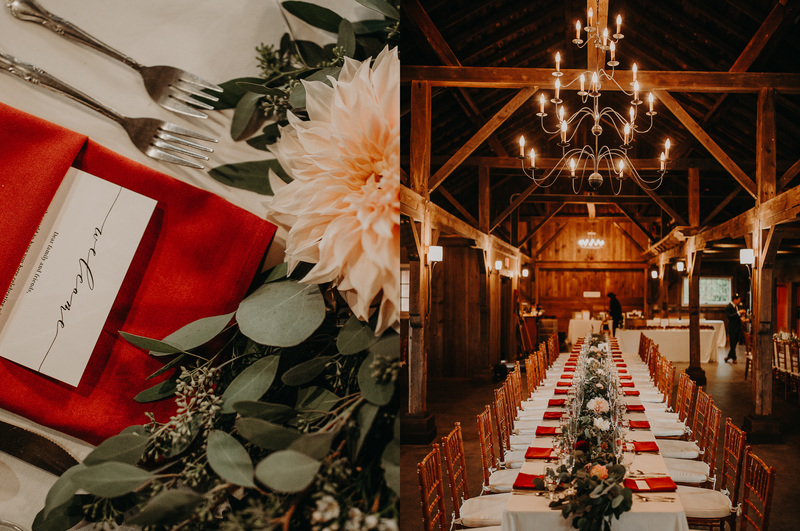 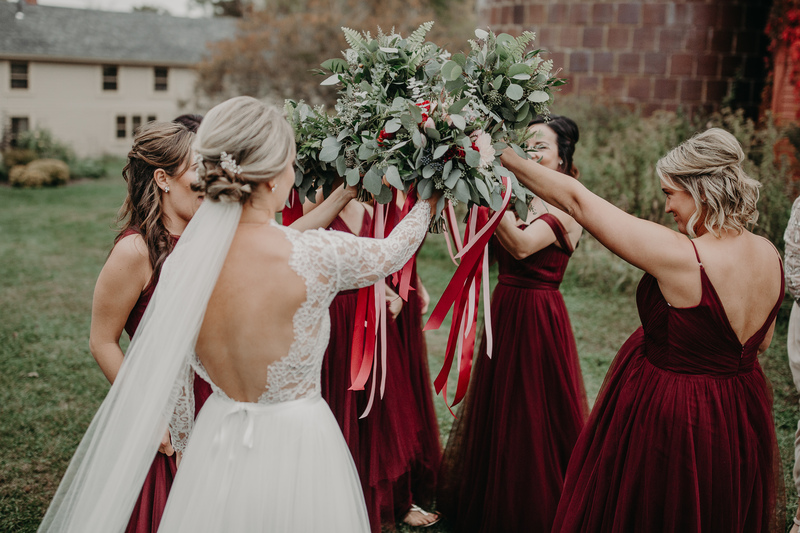 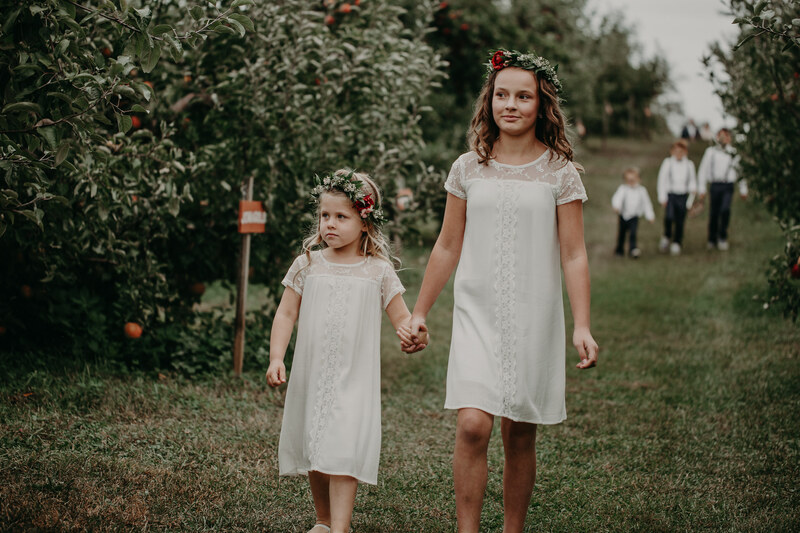 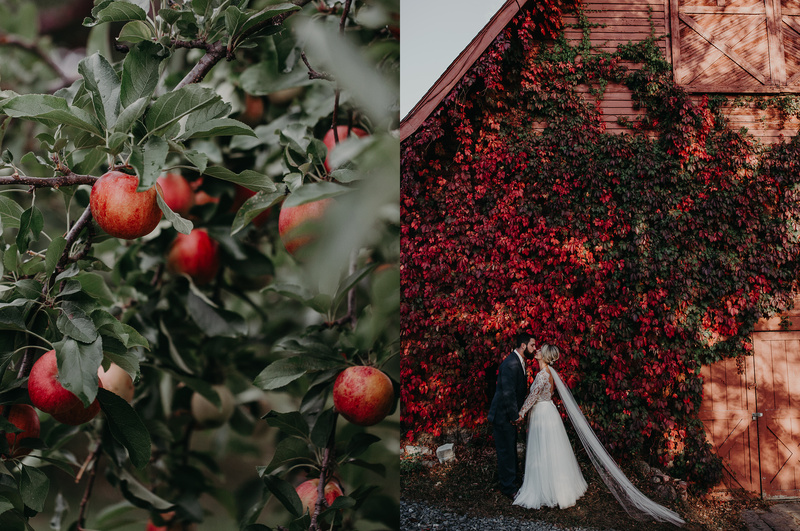 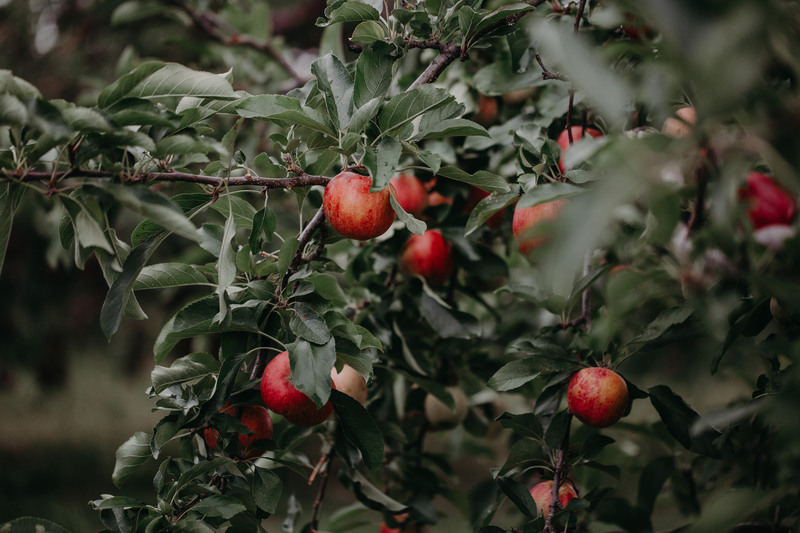 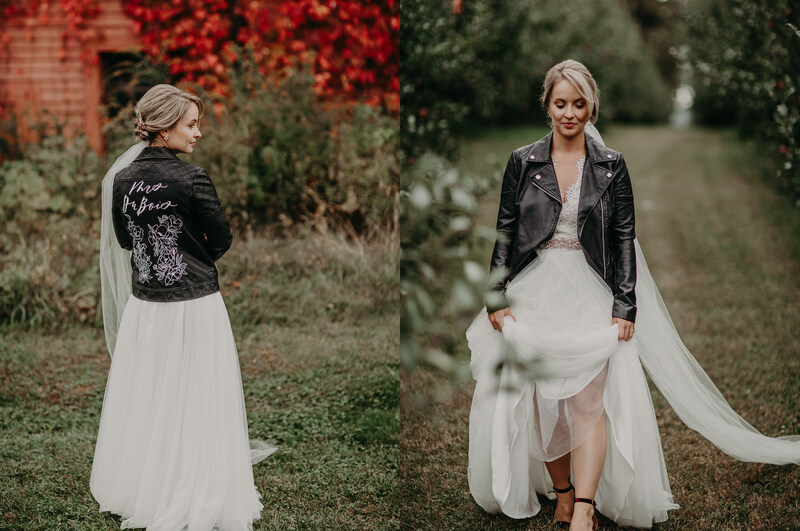 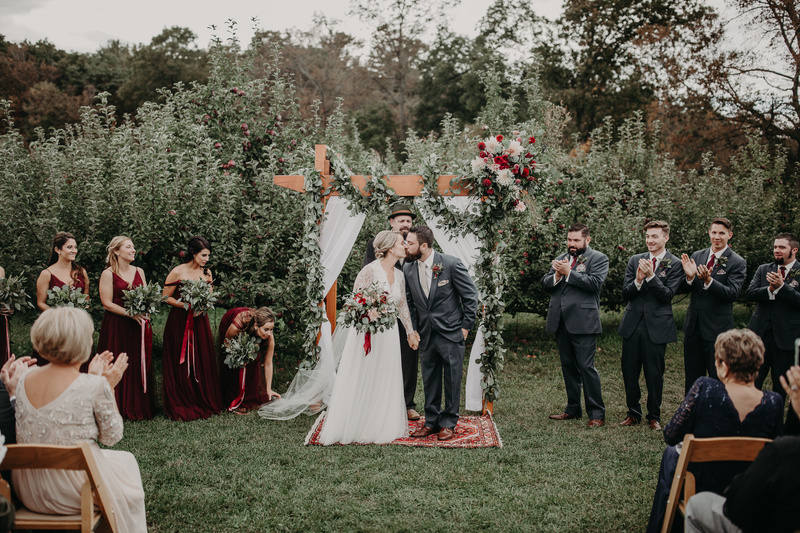 The rich hues of cabernet dresses and florals were exquisite and fit right in to the abundant landscape of the apple orchard. 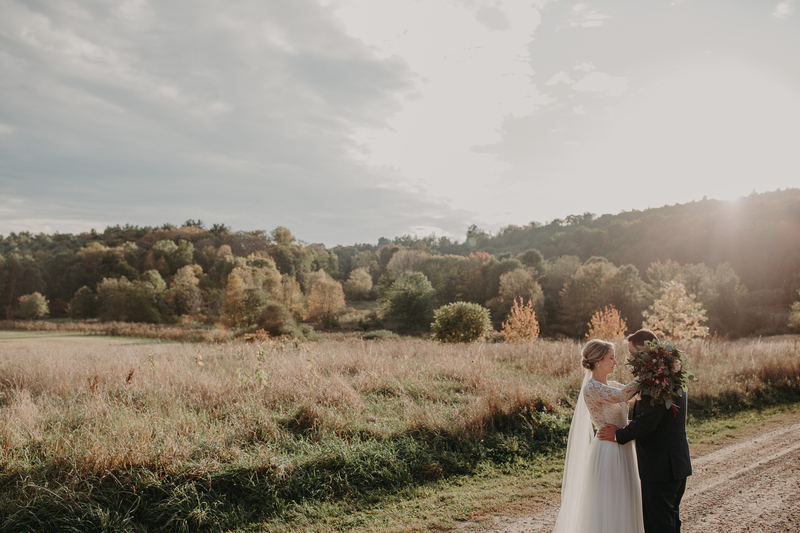 As the ceremony came to a close, the sun broke through the clouds for that magical golden glow every couple dreams about. 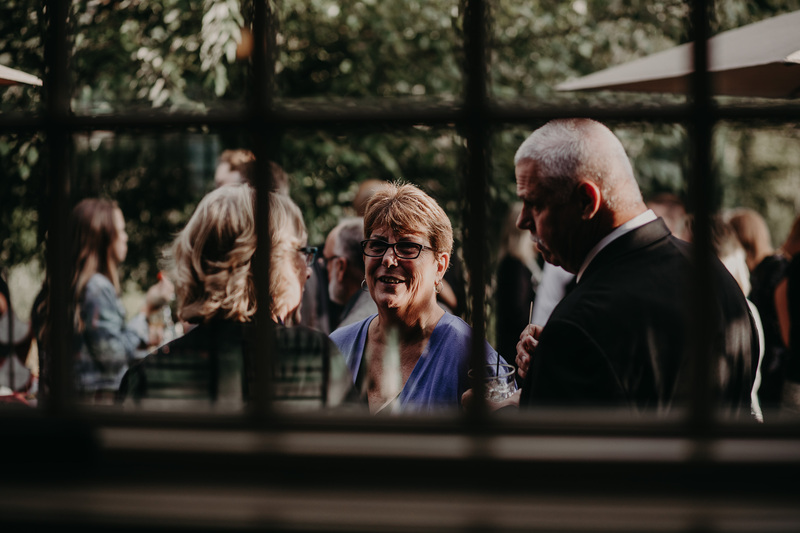 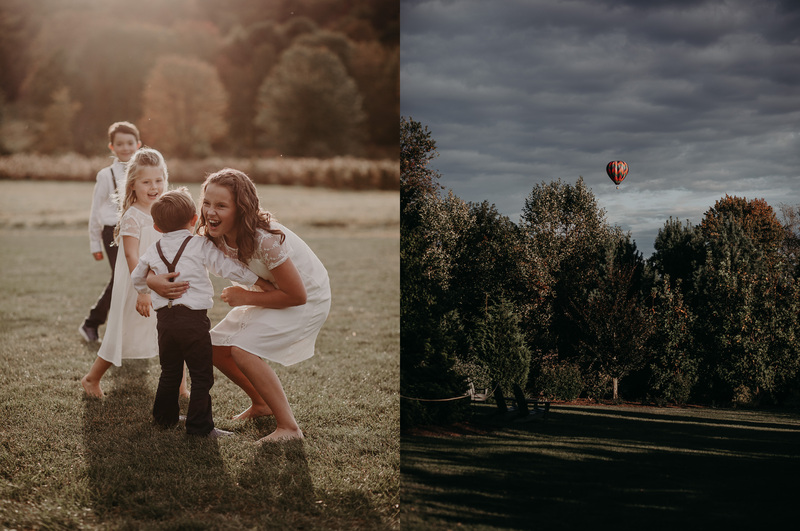 An air balloon glided overhead as the children played and guests enjoyed cocktails on the patio taking in the autumn New England landscape. 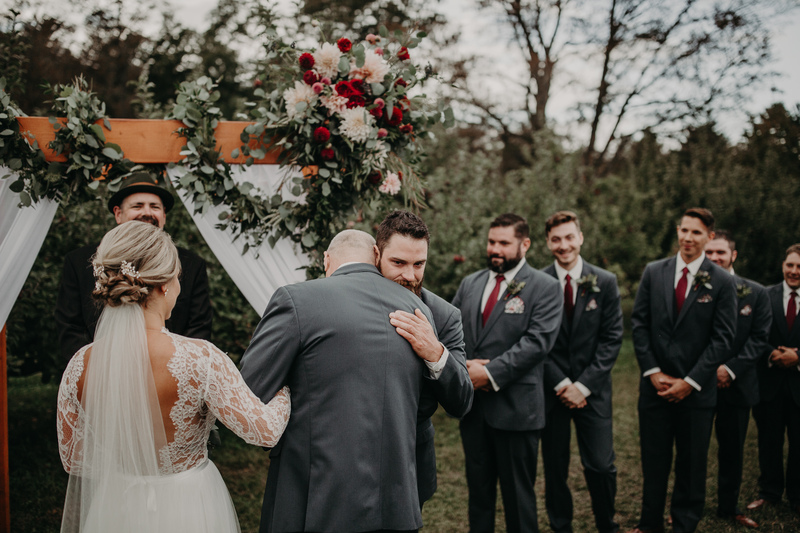 What’s even more special, is that you could feel Mason’s father’s spirit watching his son marry the love of his life. 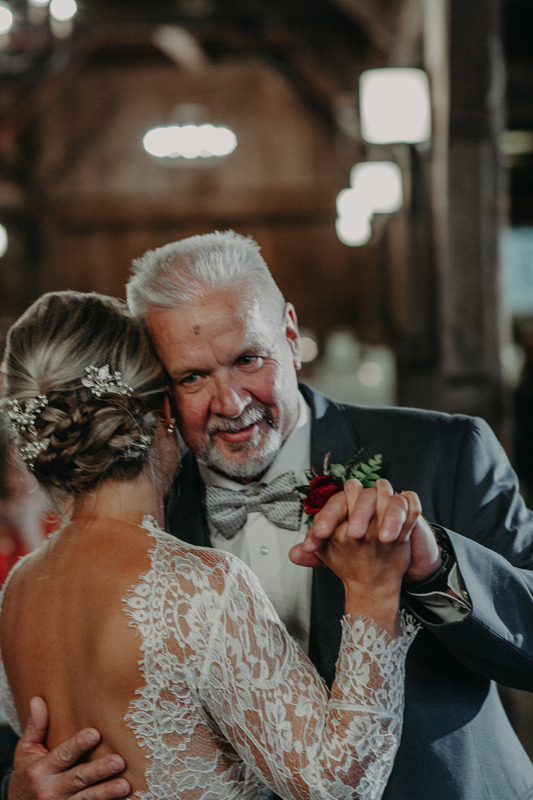 Years earlier, Big Jim gave his daughter away on the same exact day. 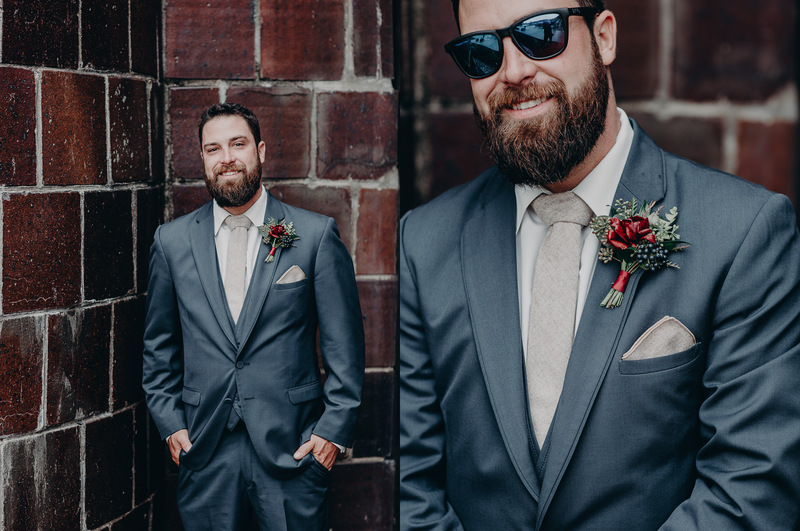 I’m looking forward to photographing more of their friends weddings in 2018 so I can see everyone again. 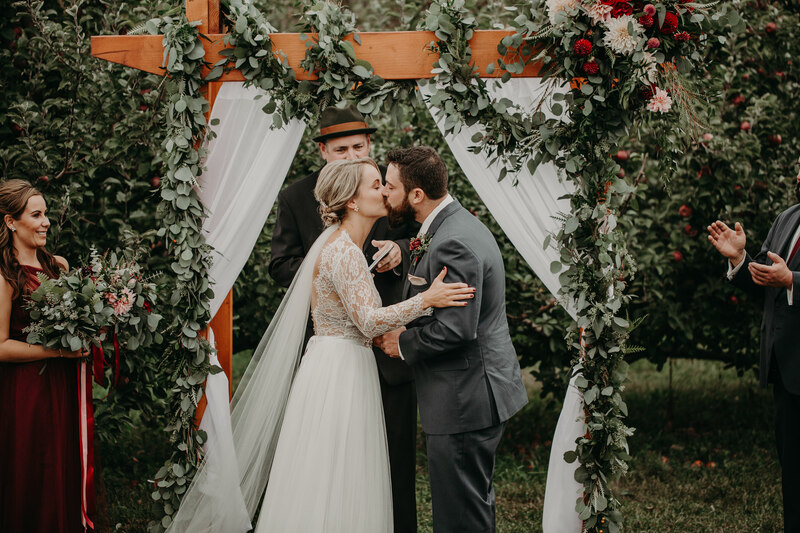 I’m so grateful for all the heart-filled connections I’ve made in 2017, thank you for sharing your hearts with me. 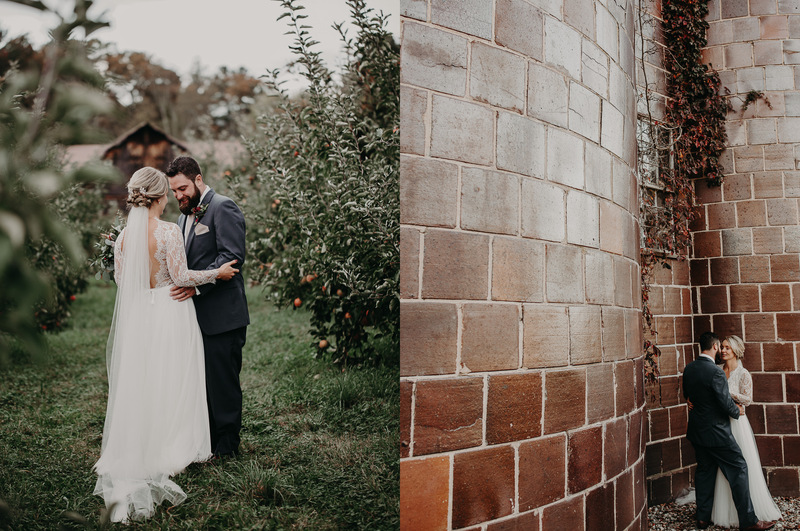 Book your 2018 destination, intimate wedding or elopement.